Planning and Land Use for Local Food Economies examines planning, land use, and zoning issues that directly affect farms, food businesses, and other contributors to the local food economy. Economic and Community Development for Local Food Economies discusses strategies for the retention, creation, expansion, and recruitment of farm and food businesses. Collaborating for Growth offers recommendations for nontraditional partnerships and inclusive planning strategies that bring together disparate elements of local food economies. 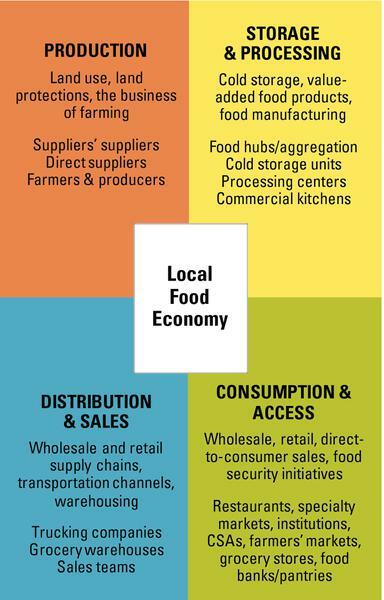 A local food economy is the system within which food is produced, distributed, and purchased within the same area (Figure 1). Developing a local food economy has been recognized as a way to revitalize traditional agricultural communities and energize urban, periurban, and rural landscapes alike. Support for these systems includes the creation, retention, expansion, and recruitment of farms and food-related businesses in a town, county, or region. These actions make a positive impact on a variety of industries, including production, processing, storage, transportation, distribution, and wholesale and retail sales entities. Developing local food economies is an important tool for protecting farmland and natural resources, and maximizing a community’s environmental, social, and economic health (Garrett and Feenstra, 1995). The range in sizes and types of businesses in a local food system diversifies the economic base, a characteristic of a resilient economy—one that can prevent, withstand, and quickly recover from major disruptions (U.S. Economic Development Administration, 2016). Local food economies are also self-regenerating, with businesses linked along the supply chain purchasing local inputs and selling to local consumers. For the purposes of this document, local is defined as food that is grown, raised, caught, and consumed within North Carolina; local agencies may adopt a narrower definition to meet their requirements and interests. Agriculture is one of North Carolina’s top industries, consistently ranking first or second, and bringing in more than $84 billion to the state’s economy (Figure 2). Agriculture and associated industries are responsible for over one-sixth of the state’s labor and income, and North Carolina ranks eighth in the nation for agricultural outputs (Shore, 2016). Local governments have unique opportunities to work with the many experts within the food system—including Cooperative Extension agents, Soil and Water Conservation District staff and boards, planners, economic developers, and community groups—to promote a sustainable food system. There are many options for flexible local ordinances and incentives, citizen-led food councils, and small business development programs that rely on local governments’ existing partners. As local governments begin to involve themselves in the work of developing local food economies, the process can create stronger partnerships with existing agencies and new nontraditional partnerships that help ensure the health and economic vitality of both rural and urban areas. Agricultural economic development (AED) addresses the creation, retention, expansion, and recruitment of agricultural and food-related businesses in a town, county, or region. AED projects are planned and implemented in conjunction with farmland preservation planning, strategic planning, and traditional economic development (CEFS, 2016a). Create a Farmland Protection Plan and its associated advisory board. Include a food system goal in the strategic plan and assign resources. Adopt a specific policy statement through planning, such as inclusion of specific regulations in a UDO (unified development ordinance) or individual ordinances. Establish a department or division with this focus and allot funds. Incorporate AED into the economic development strategy or plan. Establish cross-sector partnerships, such as public-private partnerships or nonprofits, focused on this work—typically through an MOU (memorandum of understanding) with other partners. Currently, there are three agricultural economic developers in the state, funded and authorized in different ways, reflecting the many factors that inform decisions about establishing AED. There are many other governments researching how to establish and fund AED at the local and regional government levels. This position was created as part of the comprehensive planning process, which emphasized the importance of the apple industry in Henderson County, and was county-funded. Mr. Williams directed the recruitment of Bold Rock Hard Cider company to Henderson County as a new market for the apple industry. Ms. Jordan works in the first county to have an AED, a position created in 2011 in response to a land-use planning campaign which aimed to balance preservation of farmland and natural resources with second-home and tourism development. The position works closely with small and mid-scale farmers, market gardens, and community advocates of local food systems. Orange County originally created a half-time position to support the operations of two county-supported incubators—a farm incubator and a kitchen incubator. Subsequently the position was expanded to full-time and now manages a grant program for food and farm entrepreneurs, among other activities. Mr. Ortosky focuses on creating new markets for farmers to encourage their continued farmland use, and on preservation and recruitment of additional food businesses. A growing body of research links local food systems to a variety of positive economic and health-related outcomes. Researchers have found that supply chains linking local production to local consumption generate greater revenues for producers, with net income ranging from equal to more than seven times the revenue gained from conventional national or global supply chains (King et al., 2010). Local food systems can also reduce farmland loss by creating opportunities for the next generation of farm owners. The economic benefits extend to the broader community, with numerous studies indicating that food produced and consumed locally creates more economic activity in an area than does comparable food produced and imported from a nonlocal source (Enshayan, 2008; Henneberry, Whitaker, and Agustini, 2009; Lev, Brewer, and Stevenson, 2003; Otto and Varner, 2005; Sonntag, 2008). The impacts of local food systems on farm and community businesses (through increased revenues and employment) come from two sources: the transactions that occur between local consumers and local farms and the effects of keeping local dollars in the community to be spent at other businesses. CEFS published a research overview on local food systems with NC Cooperative Extension, an annotated bibliography, and a literature review on the relationship between economic development and local food systems in 2016. The economic impacts are further enhanced when inputs to the farm come from local sources and the farm outputs are used by local food entrepreneurs for value-added products. Researchers who investigate local food systems use the tools of economic development professionals, including IMPLAN, to estimate economic impacts. The USDA’s Toolkit for Calculating the Economic Impact of Local Foods is the first national analysis tool for examining how local food businesses and projects contribute to economic impact. Local food systems can also improve the health of community members. Epidemiological researchers have found correlations between higher levels of direct-to-consumer farm sales and lower levels of mortality, obesity, and diabetes (Ahern, Brown, and Dukas, 2011; Salois, 2011). These findings supplement qualitative studies that have linked more direct connections to food (via direct contact with the farmers who produce the food, such as through a farmers market or a consumer-supported agriculture buying program, via participation in a community garden, or living in the household of a community gardener) to improvements in eating behaviors (Alaimo et al. 2008) and enhanced social activity and civic engagement (Saldivar-Tanaka and Krasny, 2004). The Center for Environmental Farming Systems (CEFS) develops and promotes just and equitable food and farming systems that conserve natural resources, strengthen communities, improve health outcomes, and provide economic opportunities in North Carolina and beyond. 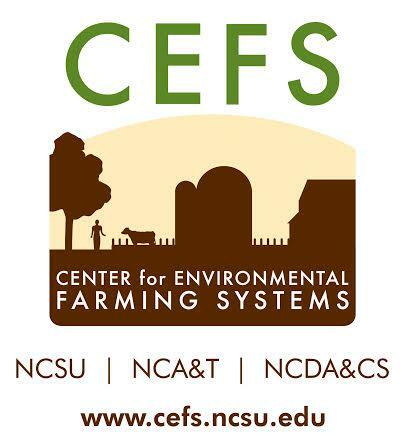 CEFS is a partnership of NC State University, NC Agricultural and Technical State University, and the NC Department of Agriculture and Consumer Services (NCDA&CS). Established in 1994, CEFS is one of the nation’s most important centers for research, extension, and education in sustainable agriculture and community-based food systems. CEFS is recognized as a national and international leader in the local foods movement and is celebrated for its work in building consensus around policies, programs, and actions that facilitate a vibrant local food economy. In 2008 and 2009, CEFS convened hundreds of food system stakeholders across the state in regional meetings, which concluded with a statewide summit, to develop “game changer” strategies to transform North Carolina’s food system. These strategies, and other outcomes of the process, are detailed in From Farm to Fork: Building a Sustainable Local Food Economy in North Carolina, a comprehensive guide to statewide action (Curtis et al., 2010). 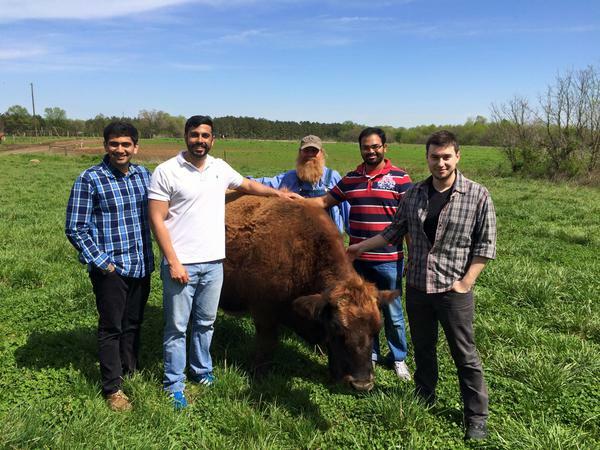 CEFS-affiliated faculty, researchers, and graduate students conduct sustainable agriculture research at the CEFS 2,000-acre Field Research and Outreach Facility at Cherry Research Farm in Goldsboro, North Carolina. In addition to the Research Farm, CEFS has the following focus areas: Food System Initiatives, Extension and Outreach, Academics and Education, and Youth. CEFS works through collaborative, interdisciplinary research, extension, and education towards its vision: a future of vibrant farms, resilient ecosystems, strong communities, healthy people, and thriving local economies. Figure 1. Local food economies encompass everything that is associated with a local food system. This includes the entire supply chain—from production to consumption—and affiliated businesses and structures. Figure 2. Data from NC State, Department of Agricultural and Resource Economics, 2016. Figure 3. County Cooperative Extension centers, like this one in Sampson County, have staff who can provide a wealth of local knowledge about farming and food systems and are invaluable partners for local governments. For the past several decades, traditional planning approaches rarely accounted for food systems. As the American Planning Association (APA) has noted (2007), several factors affected this decision, including the perceived gap between the built environment and food systems, a general feeling that the food system was working without the need for interference and a perception that planning’s emphasis on public goods and infrastructure didn’t include food production or consumption. In recent years, however, planners have become more interested in food systems at the local, regional, and national levels. Several factors have heightened interest in food system planning, including the need for emergency planning for crisis situations, health and wellness initiatives directed at obesity, increases in food insecurity and hunger, consumer and community interest in knowing the origin of food, and the growing influence of food policy councils across the country. Planners are uniquely positioned to support initiatives that increase access to healthy and local foods while supporting farmers and food businesses. While food policy councils are effective community advocates and agricultural advisory boards of all kinds can provide specific resources to local governments, planners have the capacity and skills needed to help communities address long-term, big-picture food system goals. As the APA acknowledges, planners are trained in “the analysis of the land use and spatial dimensions of communities, externalities and hidden costs of potential policy decisions, interdisciplinary perspectives on community systems like the food system, and ways to link new goals like community food systems into sustainable and healthy community goals” (APA Food Systems Planning Committee, 2008). These are valuable skills for groups working on local food initiatives, which are often composed of farmers, community members, urban gardeners, and others whose experience in government is limited. Working with such groups provides planners an opportunity to use their skills at a systems-planning level while also connecting one-on-one with citizens across a broad range of interests. Integrating food systems and planning provides innovative opportunities at the leading edge of the planning sector, especially in regionalism, multidisciplinary planning, and applied technology. Regionalism, an economic development and planning approach that considers needs across a defined geographic area that includes multiple units of local government, allows for long-term market-based partnerships as well as coordinated strategies for development (Association of Wisconsin Regional Planning Commissions, 2014). By its nature, agriculture is a regional enterprise and offers communities a way to work together on important development issues. Food systems also bring together a diverse group of stakeholders from multiple industries and with varying motivations (see the “Collaborating for Growth” section of this guide). This allows planners to use multiple approaches, particularly from the economic development, health, and design fields, to solve complex problems that affect every population within a community. Food systems planning and development is at the leading edge of innovation in public service, offering multiple ways for unique solutions to be implemented. Technological solutions—from cloud-based farm data management, to app-based food ordering, to gleaning matches between farms and food banks—provide capacity and capability to find real-world solutions. In this section, we discuss approaches that planners can use to outline long-term goals for food systems within a community, as well as specific policy tools—such as those related to farmland preservation and zoning. Additional resources can be found through the American Planning Association and through the SUNY Buffalo Growing Food Connections Project, which brings together urban and regional planning resources with local food systems research and implementation projects. *Authors’ note: Pending a final decision, we prepared this guide without accounting for the proposed changes to planning and development regulation in the NC General Assembly Local Government Regulatory Reform Bill. House Bill 548 has been under discussion and review since 2015, and was referred to committee at the end of the June 2016 session (see here for the UNC School of Government analysis of the bill’s various changes to regulatory authority). Planners and developers should monitor changes created by this bill, as the changes will affect many of the regulatory and enforcement capacities of local governments. Many of these changes could affect how agriculture and food systems are integrated into ordinances and planning strategies. Central to the argument that investment in a local food system will generate economic dividends for the local economy is the idea that food dollars spent locally will experience a multiplier effect as local farmers, in turn, purchase intermediate inputs, labor, and capital from within the localized economy (O’Hara and Pirog, 2013). Though this theory is fundamental to the ongoing conversation among economic developers and local food advocates, available findings are difficult to generalize across a diverse set of communities and economies. For more information about recent research into the economic impact of local foods, please see the “Economic and Community Development” section of this guide. A community garden is defined as any public or private facility used for the cultivation of edible and ornamental plants by more than one person (Davidson and Dolnick, 2004). Careful planning is important to locate community gardens outside environmentally sensitive areas and within walking distance of local residents. Advocates also need to consider many issues, including zoning, land ownership for long-term availability of the garden site, business licenses required for selling of produce, and emerging federal health and safety laws on agricultural products. Community gardens in low-income areas can be especially valuable as they provide lower-cost fresh and healthy food to residents who may not have access to a grocery store, cannot afford high prices for fresh produce, and have difficulty getting to a farmers market. Community gardens may place less strain on local government budgets and capacities than more difficult solutions to food access, such as supermarket recruitment or development of appropriate parcels of land for grocery stores. In North Carolina, many citizen groups, nonprofit organizations, and state agencies have collaborated to promote and establish community gardens. Community gardens often benefit from state agencies and from the experience of leaders and staff in county and municipal parks and recreation offices, Cooperative Extension offices, health departments, community organizations, and local schools. Local garden clubs can provide key volunteers and expertise to community garden efforts and often take the lead on implementing these projects. For example, NC Community Garden Partners began with a partnership between the NC Division of Public Health, NC Cooperative Extension, and community garden advocates across the state. Together the partners have created a website, social media site, gardening primer, and community garden listserv, and the group hosts regular meetings and workgroups to foster its mission of increasing the number of successful and sustainable community gardens in North Carolina. Another promising initiative was started in 2011, when the NC Recreation and Parks Association partnered with Blue Cross and Blue Shield of North Carolina to establish Nourishing NC, an initiative with the objective of establishing a community garden in every county in North Carolina by 2013. As of 2016, only seven counties do not have a reported community garden on the list. This initiative was one of the “game changer” ideas resulting from the 2010 CEFS Farm to Fork initiative. A 2011 Raleigh report providing guidance and suggested zoning ordinance changes to allow community gardens across the city: Urban Agriculture and Community Gardens in the City of Raleigh. The National Policy and Legal Analysis Network to Prevent Childhood Obesity created a set of model land use policies to help communities create gardens. The 2015 APA guide to community food system assessments. The NC Community Garden Partners website and the community gardens website hosted by NC Cooperative Extension provide resources on community gardens and links to gardens throughout North Carolina. The NC Division of Public Health—Physical Activity & Nutrition Branch and NC Cooperative Extension created an online community garden primer. Additional resources are available at Eat Smart Move More NC. Also see Cultivating Community Gardens: The Role of Local Governments in Creating Healthy, Livable Neighborhoods, from the Local Government Commission. Urban farms within cities can be small in acreage, and the food can either be shared or sold. Some farms set up a formal sales operation to distribute wholesale to restaurants, while others sell through direct-to-consumer channels—such as farmers markets (often on site) or through a community-supported agriculture (CSA) system. Urban farms provide more than just working green space for city dwellers. Urban farms can also be employment and value-added entrepreneurial activities for residents and municipal revenue sources based on the sales tax levied on farm products sold there (Brown and Carter, 2003). Will Allen’s Growing Power model (growingpower.org), which combines urban farming with training and technical assistance to community members to learn sustainable practices for growing, processing, marketing, and distributing food, has been adopted in several urban centers and continues to spread (Growing Power Inc., 2014). Urban farms offer many benefits, such as access to local fresh food, jobs, and educational opportunities. A study conducted in 2008 highlighted the benefits of middle- to large-scale urban agriculture and provided urban planners with six existing models of urban farms across the country (Myers, 2008). Bio-intensive production methods, often used in land-scarce urban settings, offer a range of benefits, including a more than 50 percent reduction in water usage and purchased fertilizers, a 100 percent increase in soil fertility, and production of two to six times more food compared to conventional methods (Jeavons, 2001; Jeavons, 2002). Some farm products sold in their original state by producers may be exempt from sales tax, depending on the state and the size of the farm. In North Carolina, this exemption was repealed and amended in 2014, and farmers must meet particular requirements to be exempt from sales tax (N.C. Gen. Stat. § 105-164.13; NC Department of Revenue, 2014). In the past few years, the issue of urban chickens has been brought up in many town meetings, with advocates noting the benefits of fresh eggs, free natural fertilizer, and natural pest control (Edwards and Carver, 2008) (Figure 4). As of 2016, at least 31 NC municipalities and counties allowed “backyard chickens.” In some cities, groups host events to promote backyard chickens as agritourism, such as Raleigh’s annual “Tour D’Coop” (2017). Local governments can examine whether chickens and other livestock are allowed under their zoning, animal control, or other applicable ordinances. Several factors should be considered, including whether to allow roosters, the number of chickens, whether to allow commercial sales of eggs or meat, distance from dwellings, amount of land required, enclosure of the house and run area, and sanitation. State and federal regulations also apply to the processing and sale of meat and eggs. One example of urban farm permissions is in the City of Winston-Salem, where the planning department allowed urban farm activities in all residential districts in the city after urban agriculture was approved as a primary strategy in the Legacy 2030 Comprehensive Plan for Winston-Salem and Forsyth County. The department developed a community guide to approving urban agriculture projects and later directed its staff to complete a Food Access Report for the City, outlining needs and barriers for access in all communities. American Planning Association guide to urban agriculture planning. Community Food Lab’s 2014 guide to how farms and gardens create urban value. A 2015 change in Winston-Salem accounted specifically for urban agriculture. Planning staff were directed to research food access, and a citizens’ toolkit for urban farming was created and made available to citizens. A 2011 Raleigh, NC, report provided guidance and suggested zoning ordinance changes to support urban agriculture: Urban Agriculture and Community Gardens in the City of Raleigh. The City of Durham allows limited agriculture such as chickens within city limits. NC Cooperative Extension offers a helpful guide on raising backyard chickens, Keeping Garden Chickens in North Carolina. The APA published a report in 2011 entitled Urban Agriculture: Growing Healthy, Sustainable Places. The authors consider the challenges and opportunities for municipal and county governments in supporting urban agriculture and include case studies on policies and programs across the United States. A study conducted in 2008 highlights the benefits of middle- to large-scale urban agriculture and provides urban planners with six models of urban farms across the country: Vitalizing the Vacant: The Logistics and Benefits of Middle- to Large-Scale Agricultural Production on Urban Land. The APA’s Policy Guide on Community and Regional Food Planning (2007) provides general and specific policies to support and strengthen local, sustainable food systems. The laws regarding farmer sales tax exemptions. Carolina Farm Stewardship Association keeps an updated policy guide on this topic. In many rural agricultural areas and in the urban areas that they border, farmers may choose to sell directly to consumers by parking their trucks loaded with fresh produce alongside the road, usually with a sign advertising fresh produce for sale. This type of mobile market is usually allowed in county ordinances related to agriculture. Due to the increase in consumer demand for fresh local food, many cities and towns in North Carolina also allow mobile markets in downtown areas, especially if a farmers market has not been established. Some municipalities allow outdoor fresh produce stands to be set up in empty parking lots within the town limits during the growing season. Depending on whether or not the roadside stand is located within a county jurisdiction or municipality, there are a number of questions to consider relating to roadside stands and mobile markets. Is a vendor’s license or permit required for roadside stands? Do sign ordinances apply? Is the roadside stand located on the property where the products were produced? A stand may be allowed under county zoning if it is part of the farm operation and the items sold are produced on that farm. Counties and municipalities should consider amending their zoning ordinances to allow for the retail sale of produce and agricultural products either on the farm where they are produced or at off-site farm stands or mobile produce trucks. Ordinances developed to allow the sale of farm produce at off-site locations allow growers to benefit from higher population densities and traffic volumes that may exist some distance away from the farm. Landowners who participate in Enhanced Voluntary Agricultural District (EVAD) programs can sell products on land enrolled in an EVAD—even if the products are not produced on site—and receive up to 25 percent of gross sales, while still having those sales fall under the bona fide farm purpose exemption from county zoning. Additionally, the production of any nonfarm product on land enrolled in an EVAD program recognized as a "Goodness Grows in North Carolina" product is considered a bona fide farm purpose that may also be exempt from county zoning: NC Gen. Stat. § 106‑743.4(a). An example of a nonfarm product is peanut butter produced from peanuts originating off-site from other farming operations. Communities may allow some flexibility for growers who need to bring in and sell agricultural products from other growers in the same area. This opportunity allows growers to generate additional income and offer a more diverse range of local products. An allowance of collective sales from local farmers is not the same as resell practices that bring food in from outside the region. The Nags Head, NC ordinance for outdoor stands is a good example that addresses what can be sold, the size of the farm stand, and the display and location of signage and products. Farmers markets provide an opportunity for urban and rural residents to purchase fresh local foods close to home (Figure 5). They can increase the incomes of local farmers and at businesses adjacent to the markets and bring tourism dollars to downtown areas. A farmers market has a multiplier effect on the local economy because more money stays in the community and is recirculated. In one studied community, for every $100 spent at the local farmers market, $62 was recirculated—for a total local impact of $162. In comparison, for every $100 spent at an average grocery store, only $25 is respent locally (Sonntag, 2008). North Carolina now has well over 200 farmers markets (NCDA&CS, 2017). Counties and municipalities can revise their land-use policies to allow existing markets and promote new ones by defining and listing farmers markets as permitted uses within their zoning ordinances. Unless farmers markets are specified as allowed in the zoning regulations, permitting a farmers market to be established or remain in use could be considered a violation of the zoning ordinances. Governments can also promote farmers markets by providing a site with shade and plumbing, renting space to the farmers market for a nominal fee (a $1 fee is often used), helping advertise the market, providing funds for a market manager, and making sure the markets are accessible via public transportation. Farmers market organizations often work with local governments to provide the administrative framework (such as rules, regulations, membership, and financial recordkeeping) and insurance (Goforth, 2010). Growers-only markets (those that restrict sales only to items produced by the sellers) do more to support developing local food economies than markets that allow nonlocal produce to be sold alongside that of local producers. These nonlocal markets can confuse and anger consumers, who visit markets to support local agriculture. And markets that allow nonlocal produce can anger farmers, who may perceive that these ”local” markets are being advertised inaccurately. A number of NC farmers markets are working to allow the use of electronic benefit transfer (EBT) cards (formerly Food Stamps) that are issued to NC Food and Nutrition Services Program participants. This increases the availability of fresh local food to people with low incomes, brings new customers to the markets, and increases sales for farmers. Currently, at least 53 NC farmers markets or individual farmers market vendors accept EBT cards. NC Cooperative Extension offers dozens of resources to new and developing farmers markets in North Carolina. The NCDA&CS offers a directory of pick-your-own farms, roadside farm markets, and farmers markets throughout North Carolina. The policy nonprofit Change Lab Solution’s document, Establishing Land Use Protections for Farmers Markets, provides sample land use policies to serve as models for local governments’ comprehensive plans and zoning ordinances. The National Conference of State Legislature’s Healthy Community Design Legislation Database is a searchable database of state legislation and includes topics such as smart growth, farmers markets, nutrition, and agriculture. The USDA’s guide Supplemental Nutrition Assistance Program (SNAP) at Farmers Markets: A How-to Handbook describes how to accept EBT cards at local farmers markets. The USDA’s Farmers Market Promotion Program provides grants for the creation of farmers markets and other direct-to-consumer marketing opportunities. Appalachian Sustainable Agriculture Project’s 2012 publication on increasing low income access to farmers markets can be found here. NC Department of Commerce and East Carolina University published “Local Planning for Healthy Communities,” a toolkit for local governments interested in health and wellness, in 2013. Elected officials in county and city governments rely on community input and comprehensive land-use plans to make decisions regulating development and use of public and private lands. The plans guide a community’s growth, as well as the enactment and amendment of zoning and other ordinances. Through comprehensive plans, residents work together to create a future that considers the region’s prosperity and well-being. Agriculture should be included because it is a key contributor to the local economy and community health and because farmland, forestland, and horticultural lands can provide several other benefits to a community, including open space and wildlife habitat. Many communities across the country are including sustainable, local foods in their regions’ long-term plans. The impetus for food system planning often begins with municipal, county, regional, or state food policy councils that engage with government officials, conduct food system assessments, and make recommendations based on the findings. Food policy councils and food system assessments are discussed in more detail later in this document. In North Carolina, the NC Association of Regional Councils of Government has included small-scale agriculture and food system development in its NC Tomorrow Comprehensive Plan. Food systems meet the requirements of several guiding standards and principles for comprehensive planning, including U.S. Economic Development Administration Investment Priorities and U.S. Environmental Protection Agency and U.S. Department of Housing and Urban Development Livability Principles for such practices as environmentally sustainable development, valuing communities and neighborhoods, enhancing economic competitiveness, fostering resilience and regional successes, and increasing multidisciplinary collaboration (NC Association of Regional Councils of Government, 2016). Additionally, the Piedmont Triad Regional Council (covering 12 counties) recently worked with the CEFS Community Food Strategies team to conduct regional planning and visioning for a collaborative approach to the local food economy (CEFS, 2016b). Piedmont Together, the regional initiative to explore development opportunities, focused its food system work on examining networks of aggregation and distribution hubs (Walker, 2014) and farm incubator projects (Piedmont Together, 2014). Citizen input and long-term strategic planning are important to the overall success of these efforts. The effectiveness of farmland protection planning is enhanced when farmers are encouraged and given concrete opportunities to participate in planning. An important consideration when creating comprehensive plans is to budget sufficient funds to employ staff to actually implement the plan. Farmland protection plans can also be included or referenced in regional, county, and municipal comprehensive plans. The NC Division of Public Health published a 2014 guide for incorporating health considerations into comprehensive plans. Henderson County planners included agriculture as an element in their 2020 Comprehensive Plan. The plan highlights the need to promote and expand Voluntary Agricultural Districts (discussed below), considers the feasibility of creating a farmland protection fund, and recommends that the county give agricultural enterprises the ability to tap into existing economic development and tourism promotion programs and services. The plan was a key element in creating a position for county agricultural economic development (discussed earlier in Section II of this guide under “Innovation in Planning and Economic Development”). In 2011, The State University of New York published a document giving numerous examples of food system policies enacted in local government plans across the U.S.: Planning to Eat: Innovative Local Government Plans and Policies to Build Healthy Food Systems in the United States. Farmland protection initiatives protect farmland, farmland-dependent businesses, and employment in these businesses. Agriculture and agribusiness are North Carolina’s leading industries, producing 20 percent of the state’s income and employing 17 percent of the state’s workforce (NC Agricultural Development and Farmland Preservation Trust Fund, 2016). Protecting farmland means protecting the economic and social vitality of NC communities. Farmland preservation is vitally important for maintaining the appropriate land on which to grow food. North Carolina ranks as one of the states with the greatest loss of farms and farmland, with 2,695 farmers and 100,000 acres lost between 2007 and 2012 (NCDA&CS, 2014). The average age of a farmer in North Carolina is 59, and the aging of farmers increases the likelihood that more acreage will transition from farming to development in the next decade. This loss of farmland represents a loss of cultural history, a loss of knowledge of farming techniques and practices, and a loss of economic opportunity in rural and urban areas. The businesses that support local farms and that provide employment are also threatened, including traditional agricultural supply companies, associated businesses such as fuel suppliers and fertilizer dealers, and food processing and distribution companies. Another important economic factor for county and municipal governments to consider is the cost of services for housing developments versus farms. When a new housing development moves into what was once farmland, counties and cities must build infrastructure in the form of roads, schools, and water and sewer, and provide services such as fire, police, and emergency medical services. A number of studies in NC counties indicate that residential properties can cost counties more in needed services than the properties provide in revenue, while farms and forestlands pay more taxes than the services they require (Farmland Information Center, 2010). For example, Figure 6 shows that for every dollar of revenue that Alamance County collected in 2010, the costs of providing services to various types of properties were as follows: residential ($1.46), commercial/industrial ($0.23) and farm/forestland ($0.59) (Farmland Information Center, 2010). These results do not mean that local governments should not allow development, but they do indicate the importance of balancing residential development with farms and forestlands. Counties and municipalities can contribute to protecting the future of working lands in agriculture and forestry by developing long-term plans that use tools to address community food issues and needs. A variety of existing tools are available for municipal and county governments working to conserve working farms and forests (Figure 7). Some tools local governments may want to consider are cost-share programs, right-to-farm laws, purchase of development rights, present-use value taxation, agritourism, funding from federal and state programs, and technical assistance through the NC Cooperative Extension, NC Soil and Water Conservation Districts, and universities and colleges across the state (NC Department of Environmental Quality, 2015). The following sections provide an overview of farmland protection tools and county and municipal ordinances that can be used to protect working farmlands. In 2008 and 2009, CEFS convened hundreds of food-system stakeholders across North Carolina in regional meetings, which concluded with a statewide summit, to develop “game-changer” strategies to transform North Carolina’s food system. These strategies, and other outcomes of the process, are detailed in From Farm to Fork: Building a Sustainable Local Food Economy in North Carolina, a 100-plus page comprehensive guide to statewide action. The USDA and American Farmland Trust provide a wealth of information on farm preservation and stewardship, and a comprehensive guide to farmland preservation in North Carolina, called Planning for an Agricultural Future: A Guide for North Carolina Farmers and Local Governments. The American Planning Association’s 2007 Policy Guide on Community and Regional Food Planning and 2012 Planning for Food Access and Community-Based Food Systems: A National Scan and Evaluation of Local Comprehensive and Sustainability Plans explain how city and regional planning experts can play an important role in bringing considerations of food and agriculture into comprehensive long-term plans, including land use, economic development, recreational and community facilities, and environmental protection. The Michigan Good Food Charter is an example of a statewide assessment and resulting set of recommendations to develop local food systems and includes consideration of comprehensive long-term planning in food system development. Farmland protection plans preserve farmland by identifying the extent and type of agricultural activity in a county and making recommendations on how to protect working farmlands. These plans can be useful guides for local governments when considering future development, and elements of the plans may be referenced or incorporated directly into county and municipal comprehensive plans, as noted previously. As of 2016, 50 of 100 NC counties had developed countywide farmland protection plans (NCDA&CS, 2017b, 2017c). Voluntary Agricultural District advisory boards, which are formed from the enactment of Voluntary Agricultural District ordinances, can take the lead in developing farmland protection plans and inform government officials and citizens about the benefits of farmland protection and local food systems. These boards can be responsible for implementing action items in a plan. For example, Durham County’s Farmland Protection Advisory Board has co-sponsored workshops on local and direct marketing opportunities for farmers, grant and cost-share opportunities, and ways to lower tax rates through the present-use taxation program (discussed later in this guide under “Present-Use Value Programs”). The Board works closely with the Durham Soil and Water Conservation District and the Piedmont Conservation Council to pursue other market opportunities. Chatham County’s plan addresses farmland preservation and agricultural economic development issues, and it includes recommendations for the county to promote farmer access to wholesale and retail markets and to create a program to retain and recruit farmers. The Agricultural Development and Farmland Preservation Enabling Act was amended in 2005 to authorize the NC Agricultural Development and Farmland Preservation Trust Fund (NCADFPTF) under N.C. Gen. Stat. Ann. §§ 106-735 through 106-744 (NC General Assembly, 1985). This fund focuses on conservation, growth, and development of farmland and forestland by encouraging the development of farmland protection plans, conservation easements, and agricultural development projects (NCDA&CS, 2017b). The act also authorizes the creation of voluntary and enhanced voluntary agricultural district programs (discussed below). The NCADFPTF provides grants to county governments and nonprofit groups to create farmland protection plans and develop other types of programs affecting land use for agriculture (such as Voluntary Agricultural Districts), grants to fund conservation easements, and grants for programs that develop economically viable agriculture operations—such as infrastructure development and market promotion (NC General Assembly, 1985; NCDA&CS, 2017b). When receiving trust fund monies, counties that already have a farmland protection plan are given preference with regard to the amount of county funds they are required to match, depending on their development tier. In July 2015, farmland preservation programs were awarded $2.13 million in recurring funds in the state appropriation budget (NC Office of State Budget and Management, 2015). Both county governments and nonprofits can apply for NCADFPTF funds. For example, the nonprofit Appalachian Sustainable Agriculture Project received funds in the 2010 – 2011 grant cycle to develop marketing opportunities for farmers. Orange County used NCADFPTF funds to support a shared-use, value-added processing facility. Cabarrus County used funds to build meat slaughter capacity and infrastructure to expand markets for area livestock producers. The NC Agricultural Development and Farmland Preservation website provides information on developing farmland protection plans and on funding opportunities. NC State provides models of farmland protection plans and other land use ordinances that can be downloaded and completed by counties. An example of a farmland preservation plan from Durham County is available. North Carolina’s present-use value program (N.C. Gen. Stat. §§ 105-277.3 through 105-277.7) serves as one of the most important working-land preservation tools in North Carolina. Recent updates from the 2015 legislative session have changed some of the parameters of the program, which allows reduced county tax assessments for individually owned property used for agriculture, horticulture, or forestry. To qualify, applicants must meet requirements for ownership, size, income, and sound management. Generally, farmland must have at least one tract of 10 acres in active production; horticultural land must have at least five acres in active production; and both must generate at least $1,000 in income each year and be under a sound management program. Forestland must be at least 20 acres in size and does not need to generate income but must be managed or harvested according to an approved forest management plan (NC Department of Revenue, 2017). There are, however, many exceptions and custom approaches. So each landowner applying for the program should rely directly on the NC Department of Revenue’s guidance on this topic. (See “Additional Resources for Present-use Value Programs.”) Property accepted into this program is taxed at its “present-use value” for its farm, forestry, or horticultural use rather than the value of its “highest and best use,” which in many areas would be for residential, retail, or other commercial uses. The value of farmland is usually less than its market value. The difference between the market value and the present-use value is deferred indefinitely until the land no longer qualifies. When the land ceases to meet eligibility requirements, the difference between the market value and the present-use value for the prior three years and the current year must be repaid. A farmer’s use of present value as a means to reduce tax rates can be compromised if municipalities enact zoning or other ordinances that reduce the farm’s ability to meet the income eligibility requirement. If land use is not in accordance with present-use value requirements, the owner must pay the difference between the market value and the present-use value for the current and prior three years. Therefore, local governments should consider how their zoning ordinances and other land-use regulations affect farming, forestry, and horticultural activities and whether the ability to meet present-use value income, production, or other requirements might be affected by these regulations. A conservation easement placed on land currently under present-use value that is annexed at a later time by a municipality may be able to continue to qualify for enrollment in a county’s present-use value even if it is not able to fulfill income or production requirements. S. L. 20160-76 (HB 533) exempts landowners from the three-year tax rollback requirement if they sell PUV-eligible property to a land conservation organization or government agency (NC General Assembly, 2015). This is a significant incentive and can be helpful to farmers in their long-term strategies for succession and estate planning. The NC Department of Revenue offers a Present-Use Value Program Guide and a sample application for the present-use value program, and examples of qualifying properties are included in the Present-Use Value Guide. The NC Conservation Trust created “A Short Guide to HB 533” which may be useful for an overview of the bill. Voluntary Agricultural District (VAD) programs are established at the county or municipal level to protect farmland from nonfarm development and are authorized under the Agricultural Development and Farmland Preservation Enabling Act (N.C. Gen. Stat. §§ 106-735 through 106-749). As of 2016, agricultural districts (VADs and Enhanced VADs, discussed below) were present in all but 13 of North Carolina’s 100 counties (NCDA&CS, 2015a). Although these programs have been implemented primarily by county governments, municipalities also have the authority under the act to implement their own programs as well. The increased pressure of housing developments in rural areas often prompts the creation of these district programs. One of the major goals of a VAD program is to increase public awareness of what it means to live near a farm and to prevent nuisance complaints arising from the proximity of nonfarm uses to farming activities and their associated noises, smells, and other agriculture-related characteristics (Figure 8). Farmers identify their membership in the program through mapping of enrolled farms in Geographic Information Systems (GIS) and by using signage that indicates to potential neighbors that the land is used as a farm and participates in a VAD program. This mapping can inform those within some distance of a VAD farm, typically ½-mile, of the potential for noise, odor, dusts, and slow-moving farm vehicles. See Appendix A for an example map of a VAD and the properties that are included within the ½-mile distance for notification purposes. Local governments benefit from VAD programs as the programs provide a mechanism for planning for agricultural development while managing and reducing conflicts between farm and nonfarm land uses. VADs are created by ordinance at the municipal or county level, and these ordinances may be enacted differently from one jurisdiction to the next. In some programs, land must be enrolled, or qualify to be enrolled, in a county’s present-use value program for it to be enrolled in a VAD program. Other programs across North Carolina may have differing enrollment requirements. For example, programs following the requirements of the Agricultural Development and Farmland Preservation Enabling Act (N.C. Gen.S tat. §§ 106‑735 et seq.) will require that the land be real property that is engaged in agriculture as that word is defined in N.C. Gen. Stat. § 106-581.1. Landowners must sign a revocable conservation agreement that limits the nonfarm uses and development on the property for 10 years, with the exception of the creation of not more than three lots that meet applicable county zoning and subdivision regulations. By written notice to the county, the landowner may revoke this conservation agreement—with the revocation resulting in the loss of qualifying farm status. Restrictions on nonfarm development and uses are outlined in the Agricultural Development and Farmland Preservation Enabling Act and the Conservation and Historic Preservation Agreements Act (N.C. Gen. Stat. §§ 121-34 through 121-42.). Additionally, highly erodible land must be managed in accordance with Soil Conservation Service defined erosion-control practices. Landowners can benefit in several ways in exchange for voluntarily restricting nonfarm development and uses on their property for 10 years. The incentives to join are determined locally and vary according to each local government’s ordinance. Many ordinances provide for signage, mapping of enrolled farms in the GIS for the purpose of notifying new neighbors, waiver of water and sewer assessments for enrolled land, and public hearings in the event that enrolled land becomes subject to condemnation by state or local units of government. Farmers, county commissioners, city councils, and land-use planners can form partnerships to create a VAD program, and these programs should be included in county and municipal farmland protection planning. The Agricultural Advisory Board created as part of the establishment of a VAD also acts as an advisor to the governing board of the county or city on projects, programs, and issues affecting the agricultural economy, including promotion of a sustainable and local food system. For example, Johnston County’s VAD Advisory Board drafted an Agriculture Development Plan that identified growth in local food consumption and production for institutional sales as opportunities for county economic development and recommended improvements in access to local and regional markets at the wholesale and retail levels (Agricultural & Community Development Services LLC, 2010). The NC Agricultural Development Program website provides information on the benefits of a VAD and the process to create one, notices for upcoming workshops for interested farmers and county officials, and links to county and municipal plans. The Department of Agricultural and Resource Economics at NC State provides a county model for a VAD Program Ordinance as well as a number of other model ordinances. NC Cooperative Extension provides a helpful guide specific to forestlands: Protecting Working Forests with Voluntary Agricultural District Programs. Both counties and municipalities may establish EVAD programs as authorized by the Agricultural Development and Farmland Preservation Enabling Act. Unlike agreements in the VAD program, EVAD conservation agreements are irrevocable for a period of 10 years and are automatically renewable for a three-year term unless notice of termination is given in a timely manner by either party as provided for in a county or municipality’s EVAD ordinance. Like the VAD program, participation in the EVAD program the land must involve real property that is engaged in agriculture as that word is defined in N.C. Gen. Stat. § 106-581.1 and be enrolled (or qualify to be enrolled) in a county present-use value program (if the ordinance has the latter requirement). The same benefits allowed under state law for enrollment in a VAD program are also provided to farm operations on land enrolled in an EVAD program. However, participants in an EVAD conservation agreement may obtain additional benefits not provided to VAD participants. These individuals may receive a higher percentage of cost‑share funds for the benefit of the enrolled land under the Agriculture Cost Share Program. Another economic benefit is that farmers who participate can receive up to 25 percent of gross sales from the sale of nonfarm products on the enrolled land and still have those sales qualify as a bona fide farm purpose that may be exempt from county zoning regulations. Finally, state departments, institutions, or agencies that award grants to farmers are encouraged to give priority consideration to individuals farming land subject to an EVAD agreement. Like the VAD program, municipalities can create and administer their own VAD or EVAD programs or work with a county through an interlocal agreement to participate in a county program. Alternatively, municipalities can have the county administer a municipal VAD or EVAD program. One of the key requirements for participation in some VAD and EVAD programs is enrollment (or qualification for enrollment) in a county’s present-use value program. Local governments should consider whether their local regulations currently allow land to be used in a way that permits the land to qualify for enrollment in a present-use value program. Without enrollment in present-use value, landowners will not be able to participate in a VAD or EVAD program if this is a program requirement. Additionally, landowners will likely face higher property taxes, which may be one factor that forces farmers to sell their land for development. The resources listed in the previous section on VADs also contain information on EVADs. In North Carolina, counties and municipalities can work together to administer farmland preservation programs through a Memorandum of Understanding, or MOU. Under the Agricultural Development and Farmland Preservation Enabling Act, land cannot be included within a county VAD or EVAD program if it is contained within a municipal corporate boundary. Under this condition, cooperation is necessary between a county and a municipality for a farm to be able to participate in a county program, assuming that the municipality does not have its own VAD or EVAD program. Working together, both a county and a municipality can economically benefit by preserving working farmlands and by supporting growers and activities on those lands. Landowners benefit through continued participation in a VAD or EVAD program even when their land becomes part of a municipality’s corporate boundaries. To preemptively address nuisance complaints, municipalities can also use VAD and EVAD programs to notify new or prospective residents, property buyers, and developers about farming, forestry, and horticultural activities and the associated noise, smells, or other characteristics of those activities.Often, the cooperation needed entails signing a formal MOU between the county and city governments so that farmland, forestland, and horticultural land contained within a municipality’s corporate boundaries can be enrolled in a county VAD or EVAD program. Additionally, under this type of agreement, when other land is later annexed into a municipality, the land can continue to participate under the county’s VAD or EVAD program. NC Cooperative Extension at NC State’s Department of Agricultural and Resource Economics provides an example of a model MOU on its website. Wake County has a VAD program in partnership with its municipalities, governed by a 2002 MOU (Wake County Board of Commissioners, 2002). The MOU was updated in 2016 and the final draft is available. County governments, municipalities, and nonprofit agencies can work together to obtain conservation easements—restrictions on rights to use or develop land that protect natural resources such as farmland, water, or wildlife. Easements can affect a number of land-use rights and may affect other rights such as water and mineral rights. But easements can be structured to still allow farming, timbering, hunting, and other income-producing activities. The land remains in private ownership, and the easement can be tailored to meet the landowner’s needs. The land encumbered by a conservation easement must be monitored by the easement holder, either a government agency or nonprofit such as a land trust, to ensure the terms of the easement are met. Land trusts are typically the holders of easements. Conservation easements are usually perpetual, although some may be term easements covering a specific number of years. Term easements, however, do not qualify for state or federal tax benefits. A landowner who donates a perpetual conservation easement may qualify for federal income tax deductions, and his or her heirs may benefit from reduced estate taxes on the land encumbered by the easement. States may also offer conservation tax credits, although North Carolina’s was repealed in the General Assembly in 2013. Additionally, local property taxes may be reduced if the highest and best-use value of the land is based on development and this use is limited by an easement. Under NC law (N.C. Gen. Stat. § 121‑40), land and improvements subject to an easement are assessed on the basis of their true value less any reduction in their value caused by an easement. Please note that the NC Conservation Tax Credit program mentioned in previous versions of this guide was eliminated effective December 12, 2013; it was repealed by Session Law 2013-316. If new legislative actions are proposed to reinstate this credit, they would be taken up by the General Assembly in future sessions, tracked here. The NC Association of Soil and Water Conservation Districts provides valuable resources to landowners. Some programs offer annual payments to farmers in exchange for placing land near critical watersheds in a conservation easement. The NC Land Trust’s brochure for landowners offers information about regional land trusts operating in North Carolina. Ordinances—city and county laws—can affect the location of agricultural activities directly or indirectly by restricting the activities that can take place on designated lands. Counties and municipalities have multiple methods for regulating land use that can provide flexibility for agricultural activities. This section addresses zoning and land use regulation strategies that can be examined for ways to further agricultural development. Land-use and land-development ordinances together make up one means by which a local government carries out the policies set forth in comprehensive and community development plans. Whether for small-scale farms, larger farming operations, or community backyard gardens, ordinances must be amended to allow for these uses if municipal ordinances do not do so already. A town may apply various development-related ordinances and programs both inside its town limits and in an area outside the town’s primary corporate limit, referred to as its extraterritorial planning jurisdiction (ETJ). Such an area typically extends not more than one mile outside town limits, but in some cases it may extend up to three miles beyond a municipal boundary. Towns may also obtain authorization from the General Assembly to extend their ETJ even further than that allowed by statute. A town may enforce its land subdivision ordinance, its zoning ordinance, its soil erosion and sedimentation control ordinance, its flood hazard protection ordinance, and the state building code in its ETJ. For example, if property is added to a city’s ETJ, the land may become subject to municipal land-use ordinances that set standards for the location of farming activities, for buffers between farm and nonfarm uses, and for the height and material of farm fences. However, if a parcel or portion of a parcel is being used for a bona fide farm purpose, as defined and described in N.C. Gen. Stat. § 153A-340(b)(2), it may be exempt from exercise of the municipality's ETJ and the enforcement of these ordinances on that property (see section below on “Bona Fide Farm Exemptions”). Municipalities still have the responsibility for regulating the construction of barns and other accessory agriculture structures in their ETJs and corporate boundaries. Municipalities are required under state law to enforce the State Building Code, but these structures may be exempt from county enforcement outside of an ETJ. Municipalities, however, can seek local legislation to allow a municipality to include in its zoning ordinance a provision allowing an accessory building used for a bona fide farm purpose in an ETJ to have the same exemption from the building code as it would have under county zoning. In 2011, for example, Session Law 2011-34 was enacted, giving all municipalities in Wake County the authority to provide in their zoning ordinances that an accessory building of a bona fide farm as defined in N.C. Gen. Stat. § 153A-340(b) has the same exemption from the building code as it would have under county zoning. Under NC law, municipalities may be limited in annexing land if that property is being used for a bona fide farm purpose. The statutory restrictions provided for in Session Law 2011-363 on municipal annexation and the exercise of extraterritorial jurisdiction do not apply to properties already within a town’s corporate boundaries. Thus, properties in a town’s corporate boundaries on which farming, forestry, or horticultural uses are occurring would be subject to regulation of those uses by that town. Some municipalities in North Carolina have chosen to exempt bona fide farm or agricultural purposes that occur in their corporate boundaries from their zoning and unified development ordinances (UDO), and a 2013 legislative update eliminates the ability of municipalities to annex a property certified as a bona fide farm without owner permission (see section below on “Bona Fide Farm Exemptions”). Additionally, municipalities are authorized under N.C. Gen. Stat. § 160A‑383.2 to amend ordinances applicable in their planning jurisdiction (corporate boundaries and ETJ) to provide flexibility for farming operations that are located within a city or county VAD or EVAD. This section states that “amendments to applicable ordinances may include provisions regarding on-farm sales, pick-your-own operations, road signs, agritourism, and other activities incident to farming.” Farming for the purposes of this section is defined in N.C. Gen. Stat. § 106‑581.1. Zoning, one of the most commonly used land-use planning tools, divides a community into districts and determines the uses and structures allowed in those districts. Under NC law, bona fide farm purposes are exempt from county (and some municipal) zoning ordinances. Municipalities can utilize zoning ordinances to regulate farm operations within their city limits and their ETJs. Sometimes cities integrate their zoning, subdivision, flood hazard protection, and other regulations into a single unified development ordinance (UDO). Local governments utilizing a UDO can integrate protections and flexibility for agricultural or food-related purposes in multiple ways. Zoning for agricultural operations may also be characterized by use category. For example, zoning ordinances can address land use in terms of what types of activities are permitted “as of right” (a use category). Other uses may be deemed special or conditional uses and may be approved by a local government board if it concludes that the use will not detrimentally impact neighboring properties. For example, the Town of Matthews adopted urban farm definitions in its UDO that allow urban farms “as a use under prescribed conditions” in all zoning districts except I-2 Heavy Industrial and AU Adult Uses. Farms must meet the town’s definitions and requirements for accessory uses, structures, and other standards (Town of Matthews, 2014). Zoning ordinances typically include many requirements that affect agricultural operations. For example, requirements such as lot size, setbacks, parking, sidewalk access, lighting, and traffic could have a major impact on where within the city limits a community garden or other agricultural activity can be located. Ordinances also contain provisions regulating signs and setbacks that may affect agricultural operations. Sign provisions determine how, where, and when a farmer may advertise a particular product or the types of signs that may be used to promote the farm’s name. Setback provisions determine what portions of land must be set aside to meet buffering requirements and may reduce the amount of land available for pasturing livestock or growing crops. Town councils need to look carefully at these types of land-use issues and consider how to provide for flexibility within their ordinances so that municipalities can allow and support urban agricultural elements such as community gardens, backyard chickens, or local roadside farm stands. Municipalities can add farming, forestry, and horticulture as allowable land uses within zoning ordinances and plans. For planning tools to be effective, however, all agricultural related terms, land uses, and specification of what uses are exempt need to be carefully defined in land-use plans and ordinances. Clear specifications in the original ordinance prevent confusion that may arise when it comes time to interpret whether or not a use is allowed under the ordinance. Counties should review their zoning ordinances and UDOs to ensure that their definitions and exemptions of bona fide farm purposes comply with statutory exemptions under county zoning while also allowing for activities supported and specified in their farmland protection and land-use plans. County and municipal government agencies can review their current zoning ordinances for specific language that promotes local food systems. Some issues that may arise include whether zoned agricultural and rural residential districts permit farm and farm-related activities, and whether proposed farmers market sites are within neighborhood business districts. Local governments can also use zoning regulations to improve community access to fresh local foods for sale. For example, mixed-use zones can be designated to permit grocery stores to operate within residential neighborhoods, potentially giving residents easy access to a wider variety of fresh and healthy food. An example of changes made to city zoning provisions designed to foster the growth of farm, forestry, and agricultural activities, from the city of Apex. For examples of use districts allowing urban farming as a conditional use, see the Town of Matthews UDO. For an example of a district with agricultural support enterprises included as a conditional use, see Orange County’s Basic Zoning Program. North Carolina allows local governments to exempt bona fide farms from zoning ordinances through definitions and standards in N.C. Gen. Stat. 153A-340. Bona fide farm purposes are defined here as the production and activities relating to or incidental to the production of crops, grains, fruits, vegetables, ornamental and flowering plants, dairy, livestock, poultry, and all other forms of agriculture. Evidence of bona fide farm status can be presented in one or more of four ways: a farm sales tax exemption certificate issued by the NC Department of Revenue, a copy of the property tax listing demonstrating eligibility for the Present-Use Value Program (discussed earlier in this section), a copy of Schedule F from the most recent year’s federal tax return, or a forest management plan. These status categories exclude farms subject to a conservation agreement. Information for excluded farms is available in N.C. Gen. Stat. § 106-743.2-4 (NC General Assembly, 2011). In September 2013, this legislation was updated to expand the exemption from county zoning, eliminate the ability of municipalities to enforce zoning on bona fide farms in their extraterritorial jurisdictions, and prevent municipalities from annexing such farms without owner consent. The exempt activities expansion included provisions for activity associated with a farm and “any other farm owned or leased … by the bona fide farm operator, no matter where located.” This allows energy production and processing facilities that serve multiple farm tracts to be considered as exempt from zoning. The update also included rules to exempt grain warehouses and storage facilities from zoning by counties and municipalities in ETJ districts, and directed the NC Department of Transportation to adopt rules for vegetation pruning that emphasized agritourism activity viewing along federal and state highways. More information on the bona fide farm exemptions is available from the UNC School of Government’s Coates Canons blog. The statute governing bona fide farm exemptions is available. Local governments also need to examine the impacts on agriculture from general ordinances, such as animal control, nuisance, and landscaping ordinances. These ordinances contain provisions separate from those enacted under a local government’s planning and zoning authority and will not be contained within either a zoning or UDO, but instead are listed in separate sections of the local government’s code of ordinances. All local ordinances should be enacted and enforced together in a consistent manner to allow for desired rural or urban agricultural activities. Where a zoning ordinance allows for livestock in one or more districts, the animal control ordinance for a county or municipality needs to be written so that the care and keeping of livestock is allowed within a local government’s boundaries and planning jurisdiction. Additionally, nuisance and noxious weed ordinances that regulate vegetation height should be written to allow for crops in gardens or on farms, which will grow beyond vegetation height restrictions that are enacted to control overgrown, weedy vegetation on unmaintained lots. Some gardeners within city limits may run the risk of potential fines and neighborhood discord if their gardens do not meet vegetation height restrictions. NC ordinances can be located using the following companies: Municipal Code Corporation, American Legal Publishing Corporation, and General Code. Additionally, the NC Growing Together Project has prepared case studies from every region of North Carolina that showcase some of these trends. Conservation development strategies have been increasingly popular over the last four decades. This development approach focuses on the protection of natural resources while also creating economic benefits and includes a wide range of projects—from rural ranches, to suburban conservation subdivisions, to large master-planned communities. As of 2016, conservation development accounted for nearly a quarter of private land conservation in the United States (Colorado State University, 2016). Land conservation is a continuously challenging field, working within larger trends of land development, climate issues, and financing methods. Conservation development incorporates the need for residential housing and development with an emphasis on stewardship in the design, construction, and maintenance of residential facilities. Some conservation development projects protect a percentage of the property through conservation easements obtained by the developer-owner of the property. Other projects offer a way for farmers to protect a majority of their farmland while allowing development in a concentrated area, like this example from the Hudson Valley, where both farmland and housing are at a premium. Another increasingly popular strategy for conservation development is the design and construction of “agrihoods,” developments centered around a common resource. Instead of golf courses or swimming pools, residents build on sites located around agricultural uses like farms and gardens. This strategy addresses a common desire for potential buyers to have views and open space without the large capital investments needed in golf courses or other amenities, and assists developers both in selling lots and in obtaining tax credits and protections based on their use of conservation easements. Some developments hire professionals to manage the farming activities and deliver produce boxes to residents each week, while others offer allotments of farm or garden space to owners (Locke, 2016). One example that was recently approved in Durham County is Wetrock Farm. The project would place roughly half the 287-acre development property into conservation as a working farm, while including fresh produce as a benefit of the homeowners’ association dues (Bracken, 2016). Fundraising continues at the time of this publication. Counties and municipalities have the regulatory authority to utilize specific guidelines and incentives to encourage conservation development in local land use regulations in many ways, such as density bonuses, conservation easement assistance in partnership with local land trusts, and assistance with ecological site mapping and protection plans (Reed, Hilty, and Theobald, 2014). However, the use of zoning as an incentive exclusively for farms is rare in the state, although flexible development options have been adopted by some counties by which developers can decrease lot sizes and get “bonus units” for additional preserved acreage. The option is rarely used due to a lack of incentives for developers to take advantage of those programs (Belk, 2014). For examples, see City of Durham’s Article 6: District Intensity Standards (City of Durham, 2016); Franklin County’s Flexible Development standards (Franklin County, 2017); and Orange County’s Article 7: Subdivisions—Cluster Development—Payments in Lieu of Dedication standards (Orange County, 2011). Colorado State University tracks conservation development projects across the western United States. Guidelines and incentives for conservation development are summarized in this research. For a listing of agrihood projects in the United States and additional information on agrihood developments, visit the Urban Land Institute. The foundational text for rural land use planners, published by the APA, is Randall Arendt’s Rural by Design (2nd edition). The book is written for both lay readers and planners and is often used in working with citizens and elected officials. The Green Growth Toolbox, a program of the NC Wildlife Resources Commission (NCWRC), provides extensive resources geared towards habitat conservation that can also be useful in land use and planning, including project layouts and samples. The NCWRC also hosts regular workshops for local government administrators about conservation programs and tools. One of the most common requests among planners is information about how to properly zone areas for food trucks and other niche food businesses, including mobile markets, CSA distribution sites, cooking or gardening classes, and other activities not easily defined in existing use categories (Figure 9). Many North Carolina counties and municipalities have addressed these issues through zoning or policy changes, particularly to allow mobile markets and food trucks to locate in commercial or industrial areas and to allow permits for multiple units in a given location (such as food truck “rodeos” or “rallies,” or defined “food truck lots” that target employees of a specific industry or commercial district). For more information, see the APA’s guidance on food trucks. Another common issue is the maintenance and use of beehives in urban districts. The 2016 Local Government Regulatory Reform Bill (N.C. Gen. Stat. § 106-645) states that county ordinances cannot prohibit possession of five or fewer hives, although some municipal regulation of hives may be allowed (but up to five hives within the planning jurisdiction must be allowed). Ordinances may regulate setbacks, anchors, or location, but may not prohibit hives from being installed altogether (NC General Assembly, 2015). Many states, counties, and towns are providing public land for food projects like community gardens and incubator commercial kitchens. Often, land and facilities are already in public use, and these uses are added to existing space or facilities, such as those at recreation centers, libraries, hospitals or health clinics, education boards, schools, government housing projects, and other locations (Winig and Wooten, 2015). In the City of Greensboro, a food access report led the city to explore using its network of recreation centers throughout the city to host incubator kitchens on-site, providing quick and easy access to food and food entrepreneurship activities in existing facilities (City of Greensboro, 2015). For more resources on using public land, see the “Vacant Land for Food System Development” subsection in the “Economic and Community Development” section of this guide. Military bases in all branches of the U.S. Department of Defense have begun to consider land protection and conservation efforts in base regions over the past 10 years. Base leaders are often concerned about encroachment near the bases, which can inhibit training programs, affect housing needs for base families, and impact transportation, infrastructure, and land use in the area. Many bases have begun to work with local and regional planners to identify strategies for protecting land around bases and beneath flight or training areas. This can often mean military support for state and local programs that protect farmland in permanent or semipermanent conservation easements. As part of the Department of Defense’s Sentinel Landscapes initiative, bases in North Carolina have begun addressing these issues: Camp Lejeune (U.S. Marine Corps), Jacksonville; Ft. Bragg (U.S. Army), Fayetteville; and some regional U.S. Air Force facilities. Camp Lejeune has also supported farmers markets on the base for active personnel and other community initiatives such as an incubator farm to encourage more market channel availability for farmers in their encroachment region (Edmonds, 2015) (Figure 10). Planning for food systems in conjunction with military entities aligns two of a state’s larger industries—military and agricultural—and emphasizes their common goals of land protection and conservation. A number of market-based opportunities for land preservation and farm market channel expansion are available as tools to encourage food system expansion in military zones. Eastern North Carolina is now a designated zone for the Sentinel Landscapes program (effective 2016). More information on this and other nationally designated sites, as well as best practices for partnerships between regional, local, and military planners is available. The APA has several training webinars on military encroachment prevention planning. The National Governors’ Association Center for Best Practices offers planning strategies for working with military encroachment prevention (2015). The Association of Defense Communities offers a central clearinghouse for information about military and community interactions (2016). Figure 4. Urban chicken coops are often a prominent issue for municipal and county planners. Photo courtesy of Brittany Ridge Farms / Christy Crumpler. Figure 5. Farmers markets provide an opportunity for urban and rural residents to purchase fresh local foods close to home. Figure 6. Tax revenue versus cost of services in Alamance County (Farmland Information Center, 2010). Figure 7. Family farms like this one—Ran-Lew Dairy in Snow Camp, NC—can be protected through many different preservation programs. Figure 8. Voluntary Agricultural Districts, conservation easements, and other farmland preservation tools protect important natural resources, preserve the heritage and culture of communities, and support farms and food businesses. Figure 9. Food trucks at farmers markets and special events have become a common issue for planners in the past 10 years. Figure 10. 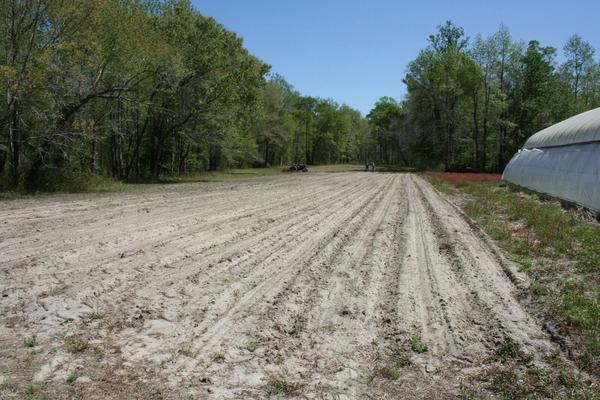 Fields are ready for planting at the Onslow County Incubator Farm, a project co-sponsored by the U.S. Marine Corps Base at Camp Lejeune. Base and county Extension personnel worked together to build a program for transitioning veterans. Local economies can accrue several benefits from the presence of small agriculture enterprises and food entrepreneurship in their communities. Local governments, regional councils, and planners and economic developers have a unique opportunity to support recruitment and expansion efforts in this sector, thereby increasing job opportunities, keeping more money circulating within local communities, and enhancing the ability of residents to remain in rural areas. Recent work in the area of local food system development measures the benefits of this work using a return on investment (ROI) perspective, which includes not only economic benefits but also social and environmental benefits connected to quality of life. This work takes place at the intersection of planning and economic development approaches to building stronger communities. The City of Raleigh planning and economic development staff, for example, jointly use an ROI-based development strategy that takes into account the economic impacts of planning and development decisions (Nettler, 2013). Minnesota GreenStep Cities (2015) provides an ROI guide that accounts for urban investments in green space, gardens, and urban farms. For the local food system to flourish, much of the food-processing infrastructure for small and medium-sized farms may need to be developed. Farmers need centers to aggregate produce, commercial kitchens to create value-added products (such as jams or sauces), slaughter facilities, and value-added meat-processing facilities. Producers also need access to a variety of markets and viable farmland, and a food system that connects them into the existing networks for transportation, distribution, storage, and other critical needs. When planning new initiatives to promote economic development, local governments should consider their agricultural assets and what kinds of consumer demand and available supply are present within a region. There are several ways for counties and towns to support the development of local food systems, many of which are outlined below. This section of the guide also includes information on using local foods to attract, retain, and expand businesses of all sizes and industries. Integrating food systems and planning can provide innovative opportunities at the leading edge of the planning sector, especially in regionalism, multidisciplinary planning, and applied technology. Regionalism, an economic development and planning approach that considers needs across a defined geographic area, includes multiple units of local government and allows for long-term market-based partnerships as well as coordinated strategies for development (Association of Wisconsin Regional Planning Commissions, 2014). By its nature, agriculture is a regional enterprise and offers communities a way to work together on important development issues. Food systems also bring together a diverse group of stakeholders from multiple industries and motivations (see “Collaborating for Growth” in this guide). This allows planners to use multiple approaches, particularly from economic development, health, and design partners, to solve complex problems that affect every population within a community. Food systems planning and development is at the leading edge of innovation in public service, offering multiple ways for unique solutions to be implemented. for regional geographic, demographic, and land influences. Custom definitions allow for effective place-based planning and development solutions. Central to the argument that investing in local food systems constitutes a wise economic development strategy is the idea that consumer spending on local food has a larger multiplier effect than spending on nonlocal food, because local farmers are more likely to purchase local production inputs (O’Hara and Pirog, 2013). Though this theory is fundamental to the ongoing conversation among economic developers and local food advocates, available findings are difficult to generalize across communities and economies (Brown et al., 2014; Conner, 2008; O’Hara and Pirog, 2013). Existing research offers insight but requires further development of data collection tools, research over expanded geographies, and quantification of local food systems economic indicators that extend beyond simplistic measurement of jobs (O’Hara and Pirog, 2013). In May 2016, the USDA released a toolkit designed to help states and regions examine the economic impact of local food systems projects (McFadden et al., 2016). The toolkit provides calculation tools for judging economic impact on a potential or completed project. The tools require refinement of large datasets, such as those available through IMPLAN, for a region or state’s industry data. One such example was recently performed for four counties in California. The researchers found that the regional output multiplier for farms selling product direct-to-consumers was 1.86, compared to 1.42 for the region’s producers who were not involved in direct marketing. This means that the direct marketers generate $0.44 additional output within the Sacramento region for every dollar of production, when compared with producers not engaged in direct marketing. The greater economic impact of direct market producers is primarily attributable to the much larger percentage of their inputs being purchased within the region: 89 percent versus 45 percent (Hardesty et al., 2016). Calculating economic impact is complicated by the fact that the terms “local food” and “local food systems” do not have standard definitions. As evidenced by the food cluster work in Vermont (Rosenfeld, 2010), the evaluation of an existing food system must first overcome the challenge of a classification system that does not fully capture food system work. For example, value-added production, agritourism, food in arts and culture, and agricultural operations linked to clothing and energy all required creative accommodation by the Vermont researchers when they were developing industry profiles. The USDA toolkit is useful for strategic and long-term evaluation of projects but requires an investment in data tools and the resources needed to refine that data. On the USDA website, you’ll find dozens of tools and resources on the topic. It is recommended that local and regional governments consider partnering with university researchers who can assist in the data collection and analysis (and may already own licenses for the large datasets and computation tools needed to successfully utilize the toolkit). Visit www.localfoodeconomics.com/ for more information on the USDA toolkit, and contact their project team for additional information and advice. North Carolina’s Food Manufacturing Task Force was established by Governor McCrory in 2015 and released a report in April 2016 on how to recruit, attract, retain, and expand food manufacturers as a key component of the statewide economic development strategy. Food manufacturing is now fully supported as an economic development strategy by the Economic Development Partnership of North Carolina (EDP), the private-public partnership that manages economic development on behalf of the state. See the EDP’s strategy for recruitment of food manufacturing. The Final Report of the Governor’s Food Manufacturing Task Force can be downloaded. The first step to improvements in local food supply chain infrastructure is assessing and understanding the strengths and weaknesses in a region. To support this work, the NC Growing Together Project has compiled a supply chain infrastructure map for all 100 NC counties, identifying intermediary categories such as processing, distribution, cold storage, and aggregation (Figure 11). The map is based on industry data (using NAICS codes) from direct observation in each county where possible. However, ongoing local knowledge and participation are needed to continually verify and add to the data. The data is searchable by county and by category, and can be downloaded in an Excel spreadsheet for analysis or use with most commercial mapping software (CEFS, 2013). In 2017, this map will be re-released in GIS format with updated data from councils of government and other local and regional entities, and will be hosted by the Piedmont Triad Regional Council of Government. Development of a thriving local food economy very often depends on the extent to which the pieces of the food supply chain—the farms, the processors, the distributors, the retail locations—are already in place. Developing the local food supply chain means identifying these absent entities or tenuous linkages and creating or strengthening them via local investments, policy changes, and building local food demand through marketing. Providing opportunities for food business networking is also an effective way of building supply chains and may lead to collaborative supply chains, with businesses along the chain communicating freely for the competitiveness and profitability of the chain. Government and nonprofit entities may play a more active role in food supply chain development by creating social enterprises such as food hubs (Matson, Sullins, and Cook, 2013) that have both business and public good objectives. This local food “value chain” work refers to collaboration between businesses and public-sector partners to create food supply chains that generate both economic value and social benefits such as greater food access. 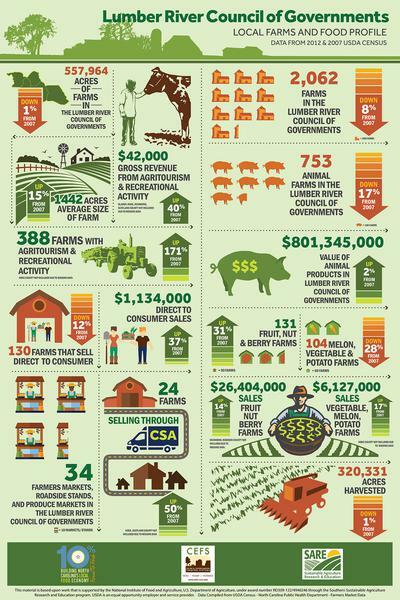 Businesses across the chain, with support from public-sector partners, intentionally work together to build both economic value and social value (USDA–Agricultural Marketing Service, 2014). Local governments across North Carolina have supported several innovative solutions to strengthen local food supply chains. For some counties and regions, food hubs (aggregation and distribution centers that collect products from multiple producers and connect producers to buyers) have met those needs (Figure 13). These social enterprises can provide valuable lessons learned for others interested in food hub development. Some existing NC hubs include TRACTOR, the Toe River Aggregation Center in Yancey County; Southeastern NC Foods Processing and Distribution Center in Pender County; Bull City Cool in Durham County; and Eastern Carolina Organics in Durham County. TRACTOR, for example, has explored the business model for aggregation of small producers into wholesale markets for several years, and is now considering additional market channels, such as CSAs, to increase revenue. In many cases, partners in these existing projects conducted feasibility studies and may be willing to share these studies with others who are interested in similar projects. For example, the feasibility study for Bull City Cool, a multi-business food hub in Durham, was completed in 2014 (Community Food Lab, 2014). Richmond and Moore counties are in the planning stages for a shared aggregation, processing and storage facility in the Sandhills region called the Sandhills AgInnovation Center (Douglass, 2016). Funded in part by a $475,000 grant award from the Golden LEAF Foundation, this facility capitalizes on an existing farmer cooperative and market demand generated by the Sandhills Farm To Table Cooperative (Sandhills Farm to Table Cooperative, 2017).Local governments across North Carolina have supported several innovative solutions to strengthen local food supply chains. For some counties and regions, food hubs (aggregation and distribution centers that collect products from multiple producers and connect producers to buyers) have met those needs (Figure 13). These social enterprises can provide valuable lessons learned for others interested in food hub development. Some existing NC hubs include TRACTOR, the Toe River Aggregation Center in Yancey County; Southeastern NC Foods Processing and Distribution Center in Pender County; Bull City Cool in Durham County; and Eastern Carolina Organics in Durham County. TRACTOR, for example, has explored the business model for aggregation of small producers into wholesale markets for several years, and is now considering additional market channels, such as CSAs, to increase revenue. Local government support for supply chain expansion is not limited to food hubs. Several NC local governments have partnered with other organizations to obtain funding for processing facilities. Cabarrus County procured funds to help defray the expansion of an existing meat processing business so that cattle producers had an option to market their products locally. Prior to this, farmers typically sold all their cattle to buyers outside the state and region due to the lack of local processing infrastructure. Commercial kitchens and small processing facilities—such as Blue Ridge Food Ventures in Buncombe County; Piedmont Food and Agricultural Processing Center and one of its anchor tenants, Seal the Seasons, in Orange County; and Working Landscapes in Warren County—provide models for how to use infrastructure, equipment, and technical assistance to expand market access for local agricultural and food product businesses. These newer facilities join established co-packers like D’vine Foods in Elizabethtown and Bobbees Bottling in Louisburg, which manufacture products such as juices and jams from local produce according to the grower’s specifications. In addition, collaborations across industries can provide successful farm and food business support. In southwestern North Carolina, Southwestern Community College’s Small Business Center partnered with the region’s Cooperative Extension agencies to offer customized food and farm business workshops through the Appalachian Farm School (Southwestern Community College, 2016). Starting a food business requires customized training and technical assistance that small business development centers can support with tailored services. There are several training programs across the state, often called “farm schools” or “ag entrepreneurship programs,” that blend the expertise of NC Cooperative Extension with the Small Business Center’s knowledge of business planning and financial operations (some examples include Vance-Granville Community College, Southwestern Community College, Central Carolina Community College, and James Sprunt Community College). Still other regional entities have partnered to create branded marketing efforts that support local farms, including Piedmont Grown (2017) and Appalachian Grown (2017). In Haywood County, a part-time position was created within the Office of Economic Development to assist in marketing county-produced products, and these efforts resulted in a successful Buy Haywood (2017) marketing strategy that included branding, farm tours, local food maps, and tourism initiatives. Henderson County’s agricultural economic development director launched a marketing program called Southern Mountain Fresh. For all of these marketing campaigns, CEFS hosts a supportive, state-level strategy called the NC 10% Campaign, which aims to help smaller regions and counties brand their products and provides marketing and educational resources on local procurement (NC 10% Campaign, 2016). Local governments engage in agricultural economic development by creating specific strategies or programs through their comprehensive plans. Each strategy and program can be driven by existing staff, such as the current economic development officer or the soil and water conservation district director, or it can be managed by a new staff position (typically called an agricultural economic developer or agricultural economic development officer). Programs can also be managed regionally by a council of government through new or existing staff members. Dedicated agriculture economic development positions provide the skilled staff necessary to push a strategy forward. Agricultural economic development addresses the creation, retention, expansion, and recruitment of agricultural and food-related businesses in a town, county, or region. Often, AED staff work closely with farmland preservation planning and traditional economic development offices, and the impetus for those positions comes from a variety of initiatives, such as land use strategies and community needs. Agricultural economic developers have a variety of duties that depend on the geography, climate, demographics, markets, and industries within their county, and work across many areas of agriculture and food entrepreneurship. For example, Henderson County created an AED office within its 2020 Comprehensive Plan. The county’s newly-created agricultural economic developer position focuses specifically on the apple industry, the county’s largest crop and one for which the county is nationally renowned. In Polk County, the first in the state to hire an agricultural economic developer, the desire for increased farmland protection arose from public discussions about development and the management of natural resources. In Orange County, the position was funded after a specific project had been undertaken (in this case, a kitchen incubator facility that required management and oversight). In Durham County, local leaders tied soil and water conservation to farmland preservation and economic development by creating a shared position to manage watershed conservation and agribusiness. Case studies on each of North Carolina’s agricultural economic development positions, with additional factsheets and information, are available at cefs.ncsu.edu/food-system-initiatives/local-food-economies/ (CEFS, 2016a). Local governments can adopt procurement policies that favor the purchase of local foods. For example, counties can require a percentage of local purchases at county events or through food service contracts in county institutions like clinics, jails, or schools. Even without formal passage of such policies, a local government can signal support for and help bring awareness about local agriculture by adopting resolutions that promote locally produced foods. For example, several counties in North Carolina have adopted resolutions supporting the NC 10% Campaign, a project led by CEFS and NC Cooperative Extension to encourage individuals, businesses, and communities to commit 10 percent of their food dollars to support local food producers. An “NC 10% Campaign” resolution template is available. Some counties have also created their own local food purchasing policies. For example, Cabarrus County has a Local Food Procurement Policy that reads as follows: “It is the policy of Cabarrus County to promote economic vitality, support the health and safety of its employees and citizens, and to preserve and protect our natural resources so that future generations will have an opportunity to thrive. The Local Food Purchasing Policy is intended to grow our local food economy, and to make fresher, more nutritious and better tasting food available at all County events that are catered. Policy: Cabarrus County Government Employees shall locally source at least 10% of all food served at county catered events and small department-sponsored meetings from food producers within North Carolina” (Cabarrus County, 2017). For public school districts specifically, the NC General Assembly recently amended the school procurement bill to allow schools to implement policies and procedures that “maximize, to the extent practicable, purchases of food grown or raised in North Carolina.” This means that schools, which typically are restricted to lowest-bid purchases made with state and federal funds, now have the flexibility to set preferences in their contracting process to allow for local food procurement when possible (NC General Assembly, 2016). There are resources at the state and national levels for local governments interested in setting procurement policies that set preferences for local purchasing—for everything from public school districts and detention centers to county catering events and senior center meals. The UNC School of Government and the UNC Frank Hawkins Kenan Institute of Private Enterprise both provide several resources for local food development for towns and counties (UNC School of Government, 2017; Kenan Institute, 2017). Nationally, the SUNY-Buffalo Department of Urban and Regional Planning maintains a database of policies from around the country that showcase local food systems at the municipal, county, and regional levels (Growing Food Connections, 2016). Change Lab Solutions provides a guide to considerations for local governments considering local food procurement policies, along with a guide to potential legal issues with such policies (Change Lab Solutions, 2016; Ackerman, 2011). A useful case study is available from the Kentucky State Parks Local Food Purchasing department, which follows a state agency through the processes and changes required to adopt local food sourcing as a procurement policy within a larger government bidding process (Perry, 2011). The Carolina Farm Stewardship Association offers numerous tools to help growers and communities develop local and sustainable food economies, including a guide on federal and state laws and regulations that govern the production and sale of local foods in the state. The Appalachian Sustainable Agriculture Project offers a resource on farming, tourism, and economic development entitled Farm Promotion & Support—Ideas and Tools for Economic Development and Tourism Development Authorities. The NC Division of Public Health and the UNC Center for Health Promotion and Disease Prevention, along with other partners involved in the Eat Smart Move More initiative, offer a variety of resources and tools that can help communities focus on health-promoting foods. Although there is limited economic analysis on the impact of local agriculture on local economies (see “Calculating Economic Impact” earlier in this guide), we do know that local food economies are becoming more and more important as recruitment tools (Hughes and Boys, 2015). Companies consider multiple factors during site selection, including data about infrastructure, land, tax rates, and workforce availability. But many firms—particularly those that will be relocating employees, such as technology companies, smart manufacturing firms, and smaller modern companies with flexible work environments—also consider the community and business culture of the town or region into which they are moving (Figure 14). Employees who find satisfaction in the communities in which they live and work tend to be more productive and more loyal, and the millennial generation, one that values such characteristics, is projected to be 75 percent of the American workforce by 2025 (Fry, 2015). Community and business culture: Local food economies can influence site selection decisions in two ways. First, for companies seeking validation from existing businesses in the region, strong local food economies often indicate strong small business networks and an independent local culture that creates vibrant, energetic communities. Second, communities where local food supply chains exist and are supported by local government provide enhanced access to healthy and affordable foods—bringing down the cost of healthcare, a key consideration for most companies who employ full-time workers. Recent research also finds that communities with strong local business economies have lower mortality rates and health costs than those in counties dominated by big firms (BALLE and Kaiser Permanente, 2016). Most Americans, across age groups and income levels, support purchasing local foods (Deidrich, 2015). Similarly, the kinds of communities that are attractive for potential residents are those where residents feel connected to an authentic sense of place that is closely tied to existing natural and human capital (Tropp, 2015). Local food economies provide a way to help create a strong quality of place, which can be an important recruitment tool for communities seeking to attract businesses, and businesses seeking to attract and relocate employees (Smart Growth America, 2016). Recent research suggests that “the next generation of talent is the first to identify more strongly with their communities than with their employers.” Place-making around local foods is an attractive strategy for communities engaged in asset-based development of “authentic places that tend to become regional destinations” (Maher, 2016). Using a strong local food economy as a recruitment tool occurs through effective marketing of that sense of place. Farmers markets, CSAs, open farmland, and community gardens are all good indicators of a strong community food system. In addition, the interlocked businesses that tend to form with the expansion of small agriculture—such as farm-to-table restaurants, small niche food processors, or breweries and taprooms—can also be used in recruitment marketing and are often key components of downtown revitalization projects and the development of new consumer market spaces. Because of the complexity of the local food value chain, dozens of local enterprises are often associated with the retention and expansion of agricultural businesses. Farms are resource-intensive operations that require many inputs, from seeds to fertilizers, as well as equipment for plowing, harvesting, and irrigating. After harvest, other sets of companies also rely on those products in such industries as processing, storage, distribution, wholesaling, and retailing. The relationships between small farm and food businesses and other small and mid-scale businesses within a region offer a significant opportunity for economic development programs to focus on the retention and expansion potential of their agricultural and food economies (Jenkins, Schepker, and Rhodes-Conway, 2014). In addition, agriculture offers unique opportunities for regional collaboration across county and town borders. Regionalism, an economic development and planning approach that considers needs across a defined geographic area and which includes multiple units of local government, allows for long-term market-based partnerships as well as coordinated strategies for development (Association of Wisconsin Regional Planning Commissions, 2014). By its nature, agriculture is a regional enterprise, and offers communities a way to work together on important development issues. For example, recent research demonstrates that support of local food tourism networks increases stocks of social and human capital, deepens marketing opportunities for participating enterprises, and confers a price premium for food marketed as local (Doughtery, Brown, and Green, 2013). This section provides information about wholesale markets, institutional purchasing, repurposing of vacant land, and agritourism as ways to encourage economic expansion and retention programs with existing businesses. Wholesale markets provide a valuable market channel for farmers and producers who are seeking ways to scale up their production and profit margins. 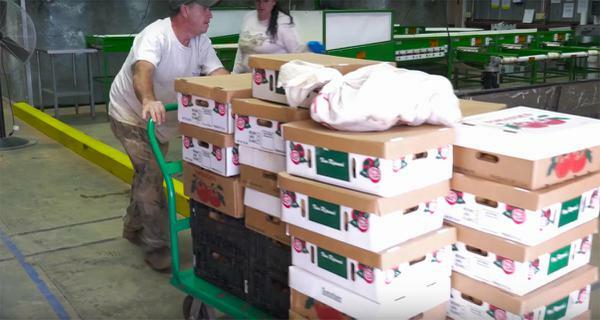 The NC Growing Together Project (NCGT) at CEFS is completing a five-year, USDA-funded program to explore ways to move more local products into mainstream markets, including wholesale distributors, grocery stores, restaurants, and military procurement chains. There are other considerations within distribution channels that affect the movement of local products into wholesale and institutional markets. Farm to Institution New England recently released a report on the barriers and opportunities in wholesale distribution in a six-state area of New England, based on a survey of 60 distributors (FINE, 2016). Wholesale markets offer significant economic expansion opportunities for existing businesses interested in scaling up their production and sales. Wholesale buyers typically seek larger volumes of product at a set negotiated price, which can provide an economic foundation for small and medium-sized farm and food businesses, increasing their stability and long-term financial viability. However, wholesale markets require several policy and practice changes from farms and food businesses, and wholesale markets won’t fit the business needs of everyone. Local governments can assist in capacity-building by partnering with local and state-level Cooperative Extension agencies and other agricultural development groups. Grocery stores can promote economic development in neighborhoods by providing jobs, anchoring established businesses, and raising surrounding property values. They can also increase access to fresh, healthy foods in low-income communities and serve as markets for local farmers. Municipalities can play a vital role in increasing the availability of local foods through these channels. Several communities nationwide have developed programs that target small retail stores in underserved areas as a means to increase access to healthy foods, including local foods (see “Additional Resources for Wholesale and Retail Markets” at the end of this section for examples). Successful strategies for increasing access in these venues include (1) providing grants, loans, or tax incentives for store improvements or healthy food purchasing; (2) providing assistance with marketing and promotional campaigns; and (3) assisting storeowners in finding local producers who could deliver direct-to-store. City governments can work with community groups to assess which neighborhoods may not provide easy access to healthy, local foods (these areas are often termed “food deserts”). The USDA provides a Census Data-based map of food deserts across the country that can be used as a foundational component of any food system assessment, along with other datasets, as part of the Food Access Research Atlas (USDA–ERS, 2017). Economic development agencies can help attract grocery stores to those districts, and zoning ordinances can be reviewed and amended to allow a site to be used for retail food purposes. Some federal and state tax credits may be available to help attract businesses to specific geographic regions (Change Lab Solutions, 2009). In the City of Greensboro, a USDA grant funded a study of the city’s food deserts and linked socioeconomic status with access to fresh food; a later USDA implementation project aims to bring more fresh food to those neighborhoods (City of Greensboro, 2015). In 2011, North Carolina’s Division of Public Health began a multiyear, CDC-funded initiative called the Community Transformation Grant. Before its end, the project created resources available to grocery stores and corner stores interested in targeting food deserts with healthy food options (CDC, 2014; GroWNC, 2011). One of the largest fresh-food retail projects in the United States is Pennsylvania’s Fresh Food Financing Initiative, which has supported more than 80 fresh-food retail projects in 30-plus counties in the state. In 2016, North Carolina passed its own Healthy Corner Store / Small Retailer Act. New York City’s FRESH Program (Food Retail Expansion to Support Health) identified food deserts and created an incentive program to encourage grocery stores to move into those neighborhoods and offer food grown and processed in the state (City of New York, 2013). Many agencies offer information about wholesale purchasing, including the NC Growing Together Project and the NC 10% Campaign. Institutions such as schools and hospitals can play an important role in supporting the growth of local food systems by providing local, seasonally available foods within food service settings (Figure 15). A variety of farm-to-school initiatives have established connections to K-12 schools (see “Additional Resources for Institutional Purchasing” below). Colleges and universities across North Carolina—including UNC-Asheville, UNC-Wilmington, NC State University, Duke University, Warren Wilson College, Fayetteville State University, NC A&T State University, and others—have also become involved at various levels by establishing campus farmers markets and purchasing local food for their cafeterias. A number of hospitals in North Carolina also provide space for a farmers market for employees and community residents. Several factors make providing local foods within institutional food service settings a challenge, particularly factors related to liability insurance, food safety certification requirements, and the logistics and additional cost involved of sourcing foods from multiple farms. Local governments can help address these factors and take the first step by establishing policies and goals to procure a certain percentage of foods from local sources. In addition to purchasing local foods, many school districts in North Carolina are now implementing research and learning at school gardens and school farms. For example, Chapel Hill-Carrboro City Schools have a garden at each of their 18 school campuses, and Durham County Schools HUB Farm provides a 30-acre research and production area for students. NC Farm-to-School program: NCDA&CS provides a map with farms and participating school districts. Information on farm-to-school programs across the United States. The document Michigan Good Food Institutional Food Purchasing provides helpful information on how to establish institutional food purchasing. Farm to Institution New England (FINE) provides a number of resources for hospitals, schools, and universities interested in local food procurement strategies. Particularly useful is the Foodservice Toolkit, which provides samples of foodservice RFPs and contracts that require percentages of local products or other local food programming in institutional settings. Vacant publicly owned land within counties or towns can be used as a valuable resource for promoting the health and vitality of citizens and the local economy. Government-owned land can be used temporarily or permanently for food production, processing, distribution, and sales. Local government officials can involve community groups and organizations to determine their specific interests and needs related to community gardening, farmers markets, urban farms, or other aspects of local foods infrastructure such as processing and distribution. Community Food Lab produced a guide to how farms and gardens build urban value that provides useful information on utilizing vacant land to increase economic value. An inventory of existing vacant lots within various zoning districts can be assessed and policies developed for specific uses. Factors such as the availability of water, soil quality, parking, lighting, security, and the benefits to and impacts of adjacent land uses should all be considered. City and county governments can support local food system infrastructure by simplifying the permitting process, providing resources (financial and technical assistance), and by promoting collaboration between community stakeholders and farmers. By allowing for flexibility within their UDOs, municipalities can ensure flexibility and accommodation for urban farming practices rather than discourage them with unnecessarily restrictive zoning codes. One example of a flexible UDO is that of the Town of Matthews, NC (see “Additional Resources for Utilizing Vacant Land” below). Urban parks may also be considered as potential sites for community gardens and incorporated into the long-term plan. An urban community garden or minifarm could also serve as a tourist attraction, much like a botanical garden, while providing open space and opportunities to learn about the importance of locally grown food. In some cases, even existing public facilities like recreation centers have been used as points for installation of community kitchens and other food system infrastructure (City of Greensboro, 2015). Essential to developing and supporting a local food system is growing public awareness of its importance and its potential to serve both community and economic development purposes. Several NC county and municipal governments support local food economies by donating land for farmers markets, incubator farms, or food-processing centers for value-added farm products. For example, the cities of Carrboro, Clayton, and Durham provided land and initial funding to establish farmers markets. Goldsboro provided vacant land to develop a farm in town. Cabarrus County provided land for the Elma C. Lomax Incubator Farm. Orange County provided a building for the Piedmont Food and Agricultural Processing Center, and McDowell County provided land for establishment of a small-scale poultry and rabbit processing facility. In addition, local governments can assist in preventing vacant farmland situations by assisting in the promotion of “farmlink” programs that match new or expanding farmers with vacant farmland (often from retiring farmers without a succession plan in place). In North Carolina, a western region program (WNC Farmlink) and a central and eastern program (NC Farmlink) serve as basic infrastructure for farmland matching efforts. Also see the resource sections for urban agriculture, community gardens, and farmers markets for information on these possible uses of vacant lands. An example of a UDO permitting flexibility in regards to urban farming, refer to the Town of Matthews UDO, Chapter 5: Use Districts (155.506.19). More information on NC Farmlink programs. Agritourism has become an innovative industry in North Carolina, growing from traditional farm tours into a diverse array of offerings that incorporate a number of products across the state. From cheese trails to winery walks, agritourism now represents one of the most high-growth tourism sectors in North Carolina (Figure 16). Perhaps the most basic component of agritourism is the farm tour, a means by which visitors are brought on-site to a farm or vineyard to see farming firsthand. Farm tours highlight the agricultural benefits of North Carolina’s diverse production regions. Depending on the season and the region, a farm tour could include a winery, corn maze, or a dairy selling fresh cheese—or follow more recent trends and incorporate a number of farms across a region as a way to collectively promote agritourism efforts. For example, the ASAP Farm Tour highlights member farms in its regional coverage area, and the NC Cheese Trail highlights cheese producers across the state. The statewide farm guide, Farm Fresh North Carolina: The Go-To Guide to Great Farmers Markets, Farm Stands, Farms, Apple Orchards, U-Picks, Kids' Activities, Lodging, Dining, Choose-and-Cut Christmas Trees, Vineyards and Wineries, includes more than 425 farms across North Carolina. This type of publication increases the potential for agritourism, which provides farms with opportunities to educate residents about farming, forestry, and horticulture directly. Such a publication also gives farmers a chance to highlight and sell their locally grown products at the same time. The NCDA&CS implemented an agritourism director position in 2015. The new office showcases farms across the state, provides resources and assistance for farms and organizations interested in promoting agritourism, and works with other marketing organizations to promote NC products. The NC Agritourism Networking Association hosts the only statewide conference on agritourism and provides peer-to-peer learning opportunities for collaboration and best practices. Towns and counties can also support agritourism efforts by integrating agritourism promotion into existing Chamber of Commerce and Travel and Tourism Authority efforts and by sponsoring or promoting local and regional branding efforts that focus attention on regional products. The Carolina Farm Stewardship Association, founded in 1979, held its first annual farm tour in 1995. Charlotte, Raleigh, and many other municipalities and counties in the state have begun to offer seasonal tours. Check with your local Cooperative Extension center for nearby tours. NC Cooperative Extension’s agritourism information. A sample of an agritourism ordinance from Guilford County. An enterprise or activity operated in conjunction with and on a bona fide farm that is offered to the general public (or to invited groups) for the purpose of enjoyment, education, or active involvement in the activities of the farm or operation. This may include farm stands, farmers markets, wineries, and other enterprises that are located on a bona fide farm and sell farm commodities produced on the farm and from other nearby bona fide farms. Iredell County’s zoning ordinance on agritourism. The Appalachian Sustainable Agriculture Project offers a resource on farming, tourism, and economic development, Farm Promotion & Support—Ideas and Tools for Economic Development and Tourism Development Authorities. Small farms, defined as farms grossing less than $350,000 in income annually, make up a significant percentage of NC farms (NCDA&CS, 2015b). Small farms are small businesses, and many of the associated businesses in the supply chain that support the production, processing, distribution, and consumption of food products are also small businesses and entrepreneurial firms. Supporting the creation of new entrepreneurial ventures and small businesses is a critical component of any business creation program at the local or regional level. Small farm and food businesses are, like many other startup and entrepreneurial ventures, often associated with high startup costs and increased risk over the first three to five years of business. These businesses are also subject to unique legal and regulatory influences from the local, state, and federal levels on everything from property tax assessment to food safety regulations. It is important that local developers work to ensure that their clients have access to the resources needed to navigate these complex processes. Many successful collaborative programs, often referred to as “farm schools” or “ag entrepreneurship” courses, have been piloted by small business centers (SBCs) and Extension centers across the state to ensure that beginning farm and food businesses have access to both financial planning and food-specific guidance. NC Cooperative Extension’s Farm School program is an award-winning curriculum for in-depth farm business training. The program includes eight business planning seminars taught by extension specialists, agents, and experienced farmers. The program helps students to create viable farm business plans and offers on-farm instruction. More information is available at ncfarmschool.ces.ncsu.edu/. Some of these programs are based on the REAL Ag Curriculum, a statewide entrepreneurship development training program used in the state since the 1990s. The Sequoyah Fund has recently purchased this curriculum and released an updated agricultural curriculum and training process in 2016. The use of farmer-teachers and peer-to-peer learning opportunities, combined with guest lecturers from regulatory agencies, insurance specialists, and financing representatives, is encouraged to make these courses as practical as possible. CEFS has profiled a number of these cases, including the Appalachian Farm School and Vance-Granville Community College, at cefs.ncsu.edu/food-system-initiatives/local-food-economies/case-studies/. The NCDA&CS offers one-on-one technical assistance for farms and food businesses as well as online resources for business planning and regulatory contacts (NCDA&CS, 2015c). The Small Business Center Network, housed at community colleges across the state, has promoted many farm school and agricultural entrepreneurship programs in various regions (Small Business Center Network, 2017). The SBTDC (Small Business & Technology Development Center) network, housed in universities across the state, also provides one-on-one client services and has assisted farm and food businesses with development of business plans and access to financing (SBTDC, 2017). The NCDA&CS GAIN Program provides several small business resources aimed specifically at small and minority farms. NC Cooperative Extension houses a multidisciplinary group of professionals at the NC Research Campus in Kannapolis as part of the Plants for Human Health Institute. Providing expertise in farm business management, communications and marketing, and fresh produce safety, these Cooperative Extension staff groups serve as outreach components to complement the research conducted at the institute. The NC Value-Added Cost Share Program, also housed at the NC Research Campus, provides assistance with feasibility studies, business structure, and business planning. The program also offers cost-sharing to agricultural producers and processors for equipment and for adding or expanding value-added agriculture products. Carolina Farm Stewardship Association provides a guide to laws and regulations that affect local food businesses in North Carolina. NC Cooperative Extension maintains an online portal for new farm businesses that provides economic planning and operational guidance. The NC Farm School is based at NC State University. Southern Sustainable Agriculture Working Group (SSAWG) collects and provides resources for farm and food businesses across the Southeast. For many years, small farmers in the United States faced restrictions on capital from traditional lending institutions (Southern SAWG, 2011). Although many of those barriers are still in place and have been discussed elsewhere in this guide, new programs are being launched each year to make it easier for farms and food businesses to access capital for starting or expanding their small businesses. In North Carolina, The Carolina Small Business Development Center has developed a financing program specific to farm and food businesses, offering low- and no-interest loans to support healthier communities through agriculture and food system development (Carolina Small Business Development Fund, 2016). The Self-Help Credit Union in North Carolina has a Food System Finance program that addresses individual, small business, and nonprofit needs across the food system (Self-Help Credit Union, 2017). The NC Rural Center, which provides services to all 85 rural counties in the state, provides technical assistance and financing packages from several providers who work specifically with farm and food businesses (NC Rural Center, 2016). In 2016, USDA Rural Development expanded its financing programs to support beginning farmers and ranchers with infrastructure expansions such as on-farm cold storage facilities. The NC Tobacco Trust Fund also provides small grants to agricultural businesses across the state. The USDA provides a number of different lending programs, all of which are catalogued (National Agricultural Library, 2016). The SBC network of affiliated centers at NC community colleges, along with the SBTDCs based at NC universities, have worked to integrate small business resources, including loan packaging, into their traditional offerings. More information on each center’s available programs for lending can be found at the SBC Network website and the SBTDC website. Small Grants through the NC Tobacco Trust Fund Commission (TTFC): The TTFC offers small grants managed by NC Cooperative Extension and the Rural Advancement Foundation International (RAFI) to assist with projects that can help ensure good agricultural practices and good handling practices compliance. Grants are specific to various regions, and farmers must contact their local Extension agent or RAFI’s office to begin the application process. The TTFC also offers direct compensation to former tobacco farmers, but most farms apply through TTFC’s partner funding agencies, listed below. AgVentures has awarded grants in Duplin, Edgecombe, Forsyth, Greene, Guilford, Johnston, Lenoir, Martin, Nash, Pitt, Rockingham, Sampson, Stokes, Surry, Wayne, Wilson, and Yadkin counties. Applications are released annually each fall. AgVentures has provided recent grants in the areas of harvest, planting, and growing equipment; RFID inventory systems; filtering and irrigation systems; new market niche products; flash-freezing and vacuum packaging; value-added manufacturing systems; internships; research of new products and pest control measures; season extension; agritourism; and more. WNC AgOptions has awarded grants to the Eastern Band of Cherokee Indians and in Avery, Buncombe, Burke, Caldwell, Clay, Cherokee, Cleveland, Graham, Haywood, Henderson, Jackson, Macon, Madison, McDowell, Mitchell, Polk, Rutherford, Swain, Transylvania, Watauga, and Yancey counties:. Applications are released annually in October. WNC AgOptions has awarded recent grants in several areas, including aquaponics systems, on-farm cooling, cold storage, retrofit of existing facilities, new seedling management systems, steam pasteurization, pest management systems, production and packaging equipment, and season extension. University of Mount Olive Ag Prime has assisted projects in Cumberland, Lee, Moore, Richmond, and Robeson counties. Ag Prime elicits applications annually each fall and winter. The NC Rural Center Microenterprise Loan Program, geared towards larger projects or to complement grant funding, provides microenterprise loans to rural businesses, with a specific focus on supporting agriculture through low-interest loans that many banks will not secure. The program also offers technical assistance and training. The Carolina Small Business Development Center is a statewide CDFI (community development financial institution) that approves microloans on behalf of the U.S. Small Business Administration, the USDA Farm Service Agency, and U.S. Department of Transportation. The Support Center also offers technical assistance and training. 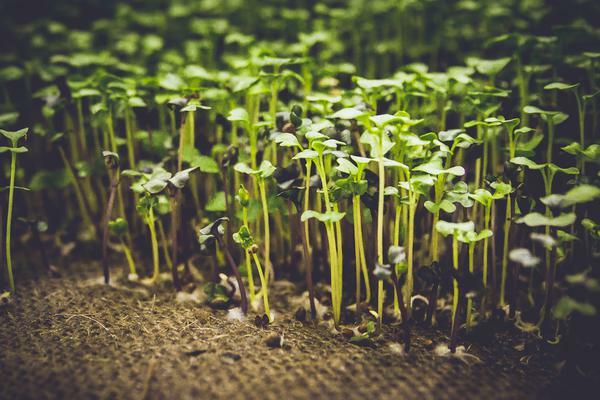 Self-Help Credit Union, a nonprofit banking agency in North Carolina and some other states, has a Food System Finance lending program designed specifically for small businesses and nonprofits working to develop local food systems. In 2016, the USDA updated their Small Farm Loan Program to include microloans for mobile packing and cooling units. This action allows applicants to qualify for a reduced down payment and avoid the requirements of providing three years of production history and demonstrating the lack of commercial credit availability. Farms and ranches of all sizes are eligible, but the program is expected to be especially beneficial for smaller farms and ranches and specialty crop producers who may not have access to commercial storage or on-farm storage after harvest. USDA Rural Development offers several programs to help farmers and ranchers of all levels access funding from a variety of sources. The USDA Value-Added Producer Grants are an especially relevant tool. Many regions have local CDFIs that serve particular geographic areas. The Opportunity Finance Network maintains a database of CDFIs by state. Figure 11. The NC Local Food Supply Chain Infrastructure Map and Inventory can be accessed at www.cefs.ncsu.edu/statewide-infrastructure-map.html. Figure 12. Storage and transportation facilities are two of the most critical pieces of the local food supply chain. Figure 13. TRACTOR, the Toe River Aggregation Center, collects products from a number of small producers in Yancey and surrounding counties to sell at large volumes to wholesale distributors: www.tractorfoodandfarms.com. Figure 14. More companies and employees are seeking locations in which community and business culture thrive, and local food economies can play a role in demonstrating a tight-knit community with shared values. Figure 15. Institutional purchasing can have a significant impact on local food systems, due to the volumes at which products are purchased. Figure 16. Agritourism has evolved from traditional farm tours to include demonstration events, winery tours, cheese trails, and many other ways to connect visitors with the work of local food production. The motivation to build a more vibrant local food system can come from many sources in the community. Farmers and ranchers, particularly those new to agriculture, are often eager to make more direct sales to restaurants, groceries, and consumers. Chefs seek fresh and sustainably raised produce and meats. Public health offices seek to increase residents’ consumption of fresh local foods, and tourism and economic development professionals see in local foods a way to revitalize rural communities. Nontraditional partners are common in the work of developing food systems, and collaboration is a critical component of successful food economies. In this section of the guide, we outline specific strategies for building innovative and effective partnerships for collaborative food system development. Cooperative Extension can provide knowledge, skills, and expertise on a broad range of agriculture-related topics through their websites, classes, training, and technical assistance. In collaboration with the NC 10% Campaign in 2011, NC Cooperative Extension appointed a local food coordinator in every county and designated six regional local food coordinators. These coordinators and other staff in county Extension centers can partner with local officials and community members on a range of different ways to promote the growth of a local food system, including connecting farmers to retail business markets, establishing farmers markets and farm-to-school programs, increasing access to fresh and local products for underserved communities, and helping design policies such as local government procurement of local foods. Others in local government and community organizations have acted in partnership with Extension to develop community-based food systems. This work includes partnerships with tourism offices to sponsor farm tours and with economic development offices to support venues for local farm sales (Dunning et al., 2012). Community colleges have also supported local food system development. For example, Central Carolina Community College’s Sustainable Agriculture Program began in 2002 with support from Cooperative Extension and the Carolina Farm Stewardship Association. Southwestern Community College has hosted a farm school for three consecutive years in partnership with regional Extension offices. And Vance-Granville Community College has hosted an Ag Entrepreneurship program and assisted farmers in obtaining Good Agricultural Practices certification. Public health offices have also become important advocates of community food systems. The Centers for Disease Control and Prevention (CDC) uses the availability of locally produced food and the existence of food policy councils as indicators of healthy food environments (CDC, 2009). In 2011, North Carolina’s Division of Public Health began a multiyear, CDC-funded initiative called the Community Transformation Grant, and the two nutrition focus areas of the initiative were to increase access to farmers markets and to fresh produce at convenience and corner grocery stores (CDC, 2014; GroWNC, 2011). Although the grant ended in 2015, many public health departments across the state maintain relationships with farmers markets, CSA programs, and others in the food system community. Contact your county Cooperative Extension center to find your local food coordinator. CEFS and NC Cooperative Extension led an initiative to engage community members and organizations in developing various aspects of their local food systems. Learn about the NC 10% Campaign. NC Cooperative Extension’s Retail Ready program provides educational resources to increase economic development of agriculture. Contact the NC Division of Public Health to learn more about health organizations’ involvement in local food development efforts. Food policy councils at the regional, county, or municipal level can bring diverse voices from government and community groups together to discuss and implement policies and programs in support of local food systems. Food policy councils have been organized at the town, county, and state level across the United States. As of 2015, there were nearly 300 food policy councils in North Carolina. Some 18 percent were housed in government agencies, but over 35 percent had direct involvement from local governments through membership participation (Center for a Livable Future, 2015). Food policy councils often serve as government advisory groups, making recommendations on ways to localize food systems. In some cases, governments supply research and administrative staff for the council to carry out its work. Dedicated staff can be critical in keeping initiatives moving forward and growing the network of interested parties, and can also apply for some of the numerous local foods grant opportunities available from the USDA, HUD, and private foundations. In North Carolina, more than 23 food policy councils (local or regional) are now beginning to network through Community Food Strategies, a statewide organization of groups that work to strengthen food council capacity and partnerships. An example of an NC county-based council with ongoing staff support is that of the Cabarrus County Farm and Food Council (2017). The council supported the development of a county-based local foods assessment, development of a beef slaughter facility, and promotion of a local food marketing campaign designed to support local businesses that produce, distribute, process, prepare, or otherwise use food grown or raised in the county. North Carolina established its Sustainable Local Food Advisory Council in 2009. Community Food Strategies is a statewide partnership of food-system advocacy organizations that works to connect, support, and strengthen food policy councils across the state. The Agricultural Law Center at Drake University offers a helpful set of frequently asked questions about setting up food policy councils. The Community Food Security Coalition has a food policy council finder for the United States and other resources to help communities develop councils. The National Sustainable Agriculture Coalition offers a useful guide giving an overview of the structure of the USDA, descriptions of fifteen grants and programs that are relevant to local and regional food systems development, and case studies of regional food systems projects that received funding. Johns Hopkins University’s Center for a Livable Future at the Bloomberg School of Public Health connects food policy councils across the nation with resources and research. The Harvard Law School operates a Food Law & Policy Clinic that addresses legal and regulatory issues around food access and production. A simple way to help strengthen market opportunities for farmers while making more local products available to consumers is to network with producers and buyers in your region. This networking can take the form of grower-buyer “mixers,” in which producers have an opportunity to personally meet buyers such as wholesale distributors or chefs. It can also be accomplished by providing online platforms to introduce buyers and producers, or by ensuring both groups are actively part of planning and development efforts. Local governments have opportunities to provide critical connections between industries in their communities, and to provide a safe and neutral space for producers to make market connections. Before local governments get involved in these networking opportunities, we recommend that they contact Extension centers, Soil and Water Conservation District offices, and retailers and wholesalers to understand the nature and scope of the existing markets in their communities. CEFS and the NC Growing Together Project have designed “Hosting Buyer-Grower Connection Events”―an event planning guide with best practices for these events. Figuring out how to build a local food system starts with determining the status of the present food system and the community’s goals and available assets. Food system assessments (FSAs) have emerged as a means by which communities can collect information on their food systems and devise strategies for the future. Food assessments can be conducted at any geographic level—town, county, region, or state. Many tools are available to assist communities in this type of evaluation and analysis (Figure 17). FSAs can also be of varying complexity and focus on some or all of the parts of the food system: what is produced, how it is processed and distributed, where it is consumed, and how the refuse is disposed of. Food assessments can be very complex and include detailed studies conducted over many months, or an FSA can be as simple as convening a group of stakeholders to discuss local food system needs and brainstorm solutions. Successful food assessments include a broad range of community stakeholders: farmers, urban and rural planners, NC Cooperative Extension agents, staff from the NC Farm Bureau and local health departments, rural economic development specialists, and professionals from community organizations. Community Food Strategies has developed a comprehensive toolkit for communities interested in conducting FSAs. In North Carolina, the Cape Fear Council of Governments, in partnership with the Southeastern NC Health Partnership and Feast Down East, conducted a comprehensive food system assessment that tracked food system development in alignment with health and equity goals (Community Food Strategies, 2016). Cabarrus County completed a food system assessment in 2012. NC State maintains a comprehensive listing of tools for these assessments and examples of successful assessments. Regional councils of government may be able to provide technical assistance for smaller communities and counties wishing to conduct assessments, such as mapping or facilitation services. Find your council here. The USDA’s Economic Research Service provides a how-to kit on conducting a community food security assessment. This type of assessment focuses primarily on the food and nutritional needs of low-income residents and seeks to improve access and availability of healthy foods to these residents. See the Community Food Security Assessment Toolkit. The Community Food Security Coalition also provides a guidebook, survey tools, and numerous helpful publications, including this guide to assessments. The Cabarrus County Food System Assessment was conducted as a planning tool for the county to identify the assets, challenges, and strategies to developing a local food system. Cooperative Extension in North Carolina and Virginia collaborated to create a Facilitators’ Guidebook for Community-Based Food System Assessment and Planning. Community Food Strategies maintains information on existing Food System Assessments in North Carolina, as well as resources for regions interested in conducting their own. The USDA's Agriculture Census data includes county-level profiles. CEFS has also produced infographics showing the county-level differences between 2007 and 2012 USDA Census data for each county and council of government in North Carolina. USDA’s Food Environment Atlas has a range of useful county-level data. The NCDA&CS Division of Statistics provides detailed information on NC agricultural production. Figure 17. A number of resources are available for governments conducting food system assessments, including these CEFS infographics and others. Ackerman, Amy S. 2011. “Buy Healthy, Buy Local. An Analysis of Potential Legal Challenges to Local Purchase Preferences.” Urban Lawyer 43(4): 1015-1034. Agricultural & Community Development Services LLC. 2010. Agricultural Development Plan for Johnston County, North Carolina. Columbia, MD: ACDS LLC. Ahern, Melissa, Cheryl Brown, and Stephen Dukas. 2011. “A National Study of the Association between Food Environments and County-level Health Outcomes.” The Journal of Rural Health 27(4): 367-379. Alaimo, Katherine, Elizabeth Packnett, Richard Miles, and Daniel Kruger. 2008. “Fruit and Vegetable Intake among Urban Community Gardeners.” Journal of Nutrition Education and Behavior 40(2): 94-101. American Planning Association. 2007. Planning and Food Systems Policy Guide. Chicago, IL: APA. American Planning Association. 2008. Food System Planning White Paper. Chicago, IL: APA, Food Systems Planning Committee. Appalachian Grown. 2017. Appalachian Grown™ Certification. Asheville, NC: ASAP Connections. ASAP Connections. 2017. Local Foods, Strong Farms, Healthy Communities. Home Page. Asheville, NC: ASAP Connections. Association of Wisconsin Regional Planning Commissions. 2014. The Benefits of Regionalism. Eau Clair, WI: West Central Regional Planning Commission. BALLE—The Business Alliance for Local Living Communities and Kaiser Permanente. 2016. The Future of Health is Local: A Field Guide for Health Sector Leadership. Oakland, CA: BALLE. Belk, Donald. 2016, Aug. 14. Personal Communication in Response to Emily Edmonds. Raleigh, NC. Bracken, David. 2016, June 25. “Proposed Subdivision in Durham Would Include Working Farm.” Raleigh, NC: The News & Observer. Brown, Jason P., Stephan J. Goetz, Mary C. Ahearn, and Kathleen Liang. 2014. “Linkages Between Community Focused Agriculture, Farm Sales, and Regional Growth.” Economic Development Quarterly 28(1): 5-16. Brown, Katherine H., and Anne Carter. 2003, Oct. Urban Agriculture and Community Food Security in the United States: Farming from the City Center to the Urban Fringe. Portland, OR: Urban Agriculture Committee, Community Food Security Coalition. Buy Haywood. 2017. Supporting Haywood County Farms. Home Page. Waynesville, NC: Buy Haywood Market Development Project. Cabarrus County Farm and Food Council. 2017. Home Page. Concord, NC: Cabarrus County Farm and Food Council. Cabarrus County. 2017. Local Food Purchasing Policy. Concord, NC: Cabarrus County. Carolina Small Business Development Fund. 2016. When Small Businesses Succeed, Everyone Benefits. Raleigh, NC: Carolina Small Business Development Fund. Center for a Livable Future. 2015. Food Policy Councils in North America: 2015 Trends. PowerPoint presentation. Baltimore, MD: John Hopkins Bloomberg School of Public Health. Center for Environmental Farming Systems. 2013. NC Local Food Supply Chain Infrastructure Map. Raleigh: NC State University. ______. 2016a. Agricultural Economic Development. Local Food Economies Initiative. NC Growing Together. Raleigh: NC State University. ______. 2016b. Community Food Strategies: Strengthening Triad Regional Partnerships. Raleigh: NC State University. ______. 2016c. Local Food Economies. Home Page. Raleigh: NC State University. Centers for Disease Control and Prevention. 2009. State Indicator Report on Fruits and Vegetables. Atlanta, GA: CDC. ______. 2014, Oct. Community Transformation Grants: States and Communities Program Descriptions. Atlanta, GA: CDC. Change Lab Solutions. 2009, Sep. 9. Getting to Grocery – Tools for Attracting Healthy Food Retail to Underserved Neighborhoods. Oakland, CA: Change Lab Solutions. ______. 2016. Local Food for Local Government: Considerations in Giving Preference to Locally Grown Food. Oakland, CA: Change Lab Solutions. City of Durham. 2016, July 1. Unified Development Ordinance: Article 6. District Intensity Standards. Durham, NC: City of Durham. City of Greensboro. 2015. Greensboro Fresh Food Access Plan. Greensboro, NC: City of Greensboro. City of New York. 2013. Food Retail Expansion to Support Health: FRESH Program Description. New York: Office of the Mayor. Colorado State University. 2016. What Is Conservation Development? Fort Collins, CO: Conservation Development Research Team. Community Food Lab. 2014. Durham Food Hub Development Study. Raleigh, NC: Community Food Lab. Community Food Strategies. 2016, Feb. 25. Feast Down East: Partnering with Local Government. Raleigh, NC: Community Food Strategies. Curtis, Jennifer et al. 2010. From Farm to Fork: A Guide to Building North Carolina’s Sustainable Local Food Economy. Raleigh, NC: Center for Environmental Farming Systems, NC State University. Davidson, Michael, and Fay Dolnick. 2004. A Planners Dictionary. PAS Report No. 521/522. Chicago, IL: APA Planning Advisory Service. Deidrich, Sara. 2015, Aug. 24. “Food Is Community.” Iowa Now. Iowa City: University of Iowa. Dougherty, Michael L., Laura E. Brown, and Gary Paul Green. 2013. “The Social Architecture of Local Food Tourism: Challenges and Opportunities for Community Economic Development.” Journal of Rural Social Sciences 28(2), 1-27. Douglass, Laura. 2016, June 8. 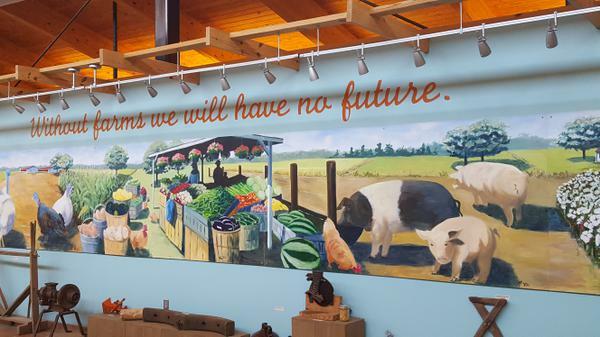 “Food Hub Creates Opportunity for Local Farm Products.” The Pilot. Southern Pines, NC: The Pilot.com. Dunning, Rebecca, Nancy Creamer, Joanna Massey Lelekacs, John O'Sullivan, Tes Thraves, and Teisha Wymore. 2012. “Educator and Institutional Entrepreneur: Cooperative Extension and the Building of Localized Food Systems.” Journal of Agriculture, Food Systems, and Community Development 3(2): 1-15. Edmonds, Emily. 2015, May 28. 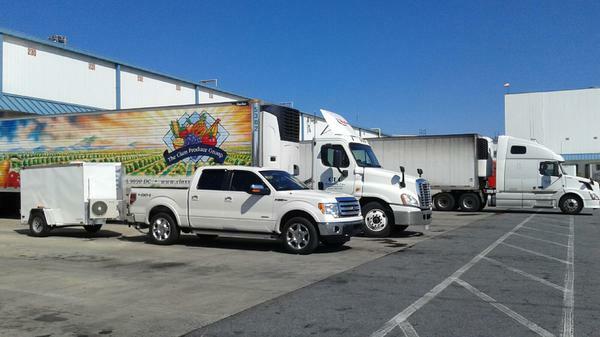 Food & Fuel 4 the Forces Regional Food Hub: Camp Lejeune Regional Aggregation Center. Chapel Hill: NC Growth, Kenan Institute, UNC Kenan-Flagler School of Business. Edwards, Anne, and Donna Carver. 2008. Keeping Garden Chickens in North Carolina (AG-729). Raleigh: NC Cooperative Extension, NC State University. Enshayan, Kamyar. 2008. Community Economic Impact Assessment for a Multi-County Local Food System in Northeast Iowa. Final Report M08-05. Ames, IA: Leopold Center for Sustainable Agriculture, Iowa State University. Farmland Information Center. 2010, Aug. Cost of Community Services Studies. Fact Sheet. Northampton, MA: American Farmland Trust. FINE—Farm to Institution New England. 2016, Aug. New FINE Report Reveals Farm to Institution Trends in Food Distribution. Hartland, VT: FINE. FoodCorps Inc. 2017. Healthy Kids. Healthy Schools. Portland, OR: FoodCorps Inc.
Franklin County. 2017. Unified Development Ordinance. Louisburg, NC: Franklin County Planning and Inspections. Fry, Richard. 2015, May 11. Millenials Surpass Gen-Xers as the Largest Generation in the U.S. Labor Force. Washington, DC: Pew Research Center. Garrett, Steven, and Gail Feenstra. 1995. Growing a Community Food System. A Western Regional Extension Publication, Community Ventures Series (WREP0135). Pullman, WA: Washington State University. Goforth, David. 2010, Aug. 5. Email correspondence. Concord, NC: Cabarrus County Cooperative Extension Center. Growing Food Connections. 2016. General Search—Policy Database. Buffalo: SUNY, Food Systems Planning and Healthy Communities Lab. Growing Power Inc. 2014. Home Page. Milwaukee, WI: National Headquarters and Urban Farm. GroWNC. 2011. Community Transformation Grant Overview: Asheville, NC: GroWNC. Hardesty, Shermain, Libby O. Christensen, Erin McGuire, Gail Feenstra, Chuck Ingels, Jim Muck, Julia Boorinakis-Harper, Cindy Fake, and Scott Oneto. 2016. Economic Impact of Local Food Producers in the Sacramento Region. Davis, CA: University of California, Agricultural and Natural Resources. Henneberry, Shida R., Brian Whitacre, and Haerani N. Agustini. 2009. “An Evaluation of the Economic Impacts of Oklahoma Farmers Markets.” Journal of Food Distribution Research 40: 64-78. Hodgson, Kimberley. 2012. Planning for Food Access and Community-based Food Systems. Chicago, IL: APA. Hughes, David W., and Kathryn A. Boys. 2015. “What We Know and Don’t Know About the Economic Development Benefits of Local Food Systems.” Choices: The Magazine of Food, Farm, and Resource Issues 30(1): 1-6. Milwaukee, WI: Agricultural & Applied Economics Association. Jeavons, John C. 2001. “Biointensive Mini-Farming.” Journal of Sustainable Agriculture 19(2): 81‐83. Jeavons, John. 2002. How to Grow More Vegetables Than You Ever Thought Possible on Less Land Than You Can Imagine (pp. xii-xiii). Berkeley, CA: Ten Speed Press. Jenkins, Carl, Adam Schepker, and Satya Rhodes-Conway. 2014. Local Food and Economic Development: A Guide for Local Governments. Madison, WI: Center on Wisconsin Strategy, Mayors Innovation Project, University of Wisconsin. Kenan Institute of Private Enterprise. 2017. NC Growth. Home Page. Chapel Hill, NC: Kenan Institute. King, Robert P., Michael S. Hand, Gigi DiGiacomo, Kate Clancy, Miguel I. Gómez, Shermain D. Hardesty, Larry Lev, and Edward W. McLaughlin. 2010. 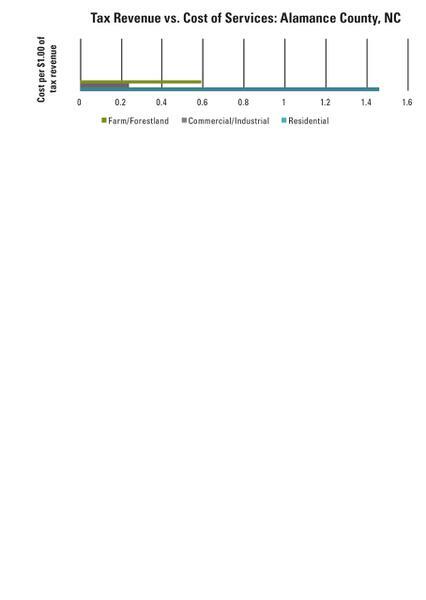 Comparing the Structure, Size, and Performance of Local and Mainstream Food Supply Chains (ERR-99). Washington, DC: USDA–Economic Research Service. Lev, L., L. Brewer, and G. Stephenson. 2003. How Do Farmers Markets Affect Neighboring Businesses? Oregon Small Farms Technical Report No. 16. Corvallis, OR: Small Farms Extension Program, Oregon State University. Locke, Michelle. 2016, May 17. “Agrihoods Take Root.” New York: Associated Press. Maher, Amanda. 2016. Five Factors Driving Economic Growth in Small Cities. Initiative for Competitive Inner City Development. Boston, MA: ICIC. Matson, James, Martha Sullins, and Chris Cook. 2013. The Role of Food Hubs in Local Food Marketing. Service Report 73. Washington, DC: USDA–Rural Development. www.rd.usda.gov/files/NY_Foodhub.pdf. McFadden, Dawn T., David Conner, Steven Deller, David Hughes, Ken Meter, Alfonso Morales, Todd Schmit, David Swenson, Allie Bauman, Megan Phillips Goldenberg, Rebecca Hill, Becca B.R. Jablonski, and Debra Tropp. 2016, March. The Economics of Local Food Systems: A Toolkit to Guide Community Discussions, Assessments, and Choices. Washington, DC: USDA–Agricultural Marketing Service. Minnesota GreenStep Cities. 2015. Green Step Cities: A Return on Investment. What Could It Mean for Your City? St. Paul: Minnesota Pollution Control Agency. Mukherji, N., and A. Morales. 2010, March. “Zoning for Urban Agriculture” (pp. 2-7). In Zoning Practice: Urban Agriculture. Chicago, IL: The American Planning Association. Myers, Annie. 2008, May. Vitalizing the Vacant: The Logistics and Benefits of Middle- to Large-Scale Agricultural Production on Urban Land. Berkeley, CA: University of California. National Agricultural Library. 2016, May. Small Farm Funding Resources. Washington, DC: USDA. NC 10% Campaign. 2016. Make the Choice. Make a Difference. Make it Local. Home Page. Raleigh: NC State University. NC Agricultural Development and Farmland Preservation Trust Fund. 2016. About the Trust Fund. Raleigh: NCDA&CS. NC Association of Regional Councils of Government. 2016. NC Tomorrow: Guiding Principles and Standards. Asheville: NCARCOG. NC Department of Agriculture & Consumer Services. 2014. Agricultural Statistics: 2012 Census of Agriculture. Raleigh: NCDA&CS. ______. 2015a. Voluntary Agricultural Districts Map. Raleigh: NCDA&CS. ______. 2015b. Small and Minority Farm Program: Frequently Asked Questions. Raleigh: NCDA&CS. ______. 2015c. GAIN—Agribusiness Resources by Topic. Raleigh: NCDA&CS. ______. 2017a. Marketing: Farmers Markets. Raleigh: NCDA&CS. ______. 2017b. Farmland Preservation. Raleigh: NCDA&CS. ______. 2017c. Voluntary Agricultural Districts, Enhanced VADs, and Farmland Protection Plans. Raleigh: NCDA&CS. NC Department of Environmental Quality. 2015. North Carolina Conservation Planning Tool. Raleigh: NCDEQ. NC Department of Revenue. 2014. Important Notice: Qualifying Farmer and Conditional Farmer Exemption. Raleigh: NCDOR, Sales and Use Tax Division. ______. 2017. Present Use Value Program Guide. Raleigh: NCDOR. NC General Assembly. 1985. Enacted Legislation. Article 61. Agricultural Development and Preservation of Farmland. Raleigh: NCGA. ______. 2011. Session Law 2011-363. House Bill 168. An Act to Clarify the Definition of Bona Fide Farm Purposes. Raleigh: NCGA. ______. 2015a. House Bill 533. Raleigh: NCGA. ______. 2015b. Session Law 2015-246. House Bill 44. ______. 2016. Senate Bill 770. Ratified Bill. Section 8, part 2, Article 17. 115C-264.4. Raleigh: NCGA. NC Growing Together. 2016. About the Project. Raleigh, NC: CEFS, NC State University. NC Office of State Budget and Management. 2015. Current Operations Appropriation: Agriculture and Consumer Services (Form BD 307), 2015-17 Biennium. Raleigh: NC OSBM. NC Rural Center. 2016. News and Updates. Raleigh: NC Rural Center. NC Small Business Technology Development Center. 2017. Home Page. Raleigh: NC State University. Nettler, Jonathan. 2013, Feb. 14. “Economic Development and Planning: It’s a Match.” Los Angeles: Planetizen. O’Hara, J.K., and R. Pirog. 2013. “Economic Impacts of Local Food Systems: Future Research Priorities. Journal of Agriculture, Food Systems, and Community Development, 3(4), 35-42. Orange County. 2011, April 5. Orange County Code of Technical Ordinances: Unified Development Ordinance. Hillsborough, NC: Orange County Planning Staff. ______. 2015. Agricultural Support Enterprises: Basic Zoning Program. Hillsborough, NC: Orange County Planning and Inspections. Otto, D., and T. Varner. 2005. Consumers, Vendors, and the Economic Importance of Iowa Farmers Markets: An Economic Impact Survey Analysis. Ames, IA: Leopold Center for Sustainable Agriculture, Iowa State University. Perry, Robert R. 2011. “Agricultural Development Is Economic Development: Kentucky State Parks Local Food Purchasing Case Study.” Journal of Agriculture, Food Systems, and Community Development 1(4): 3-13. Piedmont Grown. 2017. Fine Local Foods Fresh From the Heart of NC. Home Page. Hillsborough, NC: Piedmont Grown NC Inc. www.piedmontgrown.org. Piedmont Together. 2014. Food Systems: Goals, Objectives, and Strategies. Winston-Salem, NC: Piedmont Together. Reed, Sarah E., Jodi A. Hilty, and David M. Theobald. 2014. “Guidelines and Incentives for Conservation Development in Local Land Use Regulations.” Conservation Biology 28: 258-268. Rosenfeld, Stuart A. 2010. “Sustainable Food Systems Cluster, Vermont Style.” European Planning Studies 18(11): 1897-1908. Saldivar-Tanaka, Laura, and Marianne E. Krasny. 2004. “Culturing Community Development, Neighborhood Open Space, and Civic Agriculture: The Case of Latino Community Gardens in New York City.” Agriculture and Human Values 21: 399-412. Salois, Matthew. 2011. “Obesity and Diabetes, the Built Environment, and the Local Food Economy in the United States, 2007.” Economics and Human Biology 10(1): 35-42. Sandhills Farm to Table Cooperative. 2017. Neighbors Feeding Neighbors. Home Page. Southern Pines, NC: Sandhills Farm to Table Cooperative. Self-Help Credit Union. 2017. What We Do. Durham, NC: Self-Help Credit Union. Shore, Dee. 2016. “Ag and Ag Business Worth $84 Billion in NC.” College of Agriculture and Life Sciences News. Raleigh: NC State University. Small Business Center Network. 2017. Hurricane Matthew. NC Open for Business. Raleigh: NC Community College System. Smart Growth America. 2016. Rural Development. Washington, DC: Smart Growth America. Sonntag, Vicki. 2008. Why Local Linkages Matter: Findings from the Local Food Economy Study. Seattle, WA: Sustainable Seattle. Southern Sustainable Agriculture Working Group Inc. 2011, Nov. 23. New Report Describes Needs of Young and Beginning Farmers. Fayetteville, AK: Southern SAWG. Southwestern Community College. 2016 April 11. “Appalachian Farm School Breaks New Ground.” Sylva, NC: Southwestern Community College, Small Business Center. Tour D’Coop. 2017. Raleigh, North Carolina’s Chicken Tour. Home Page. Town of Matthews. 2014. Use Districts. Unified Development Ordinance (Chapter 5). Matthews, NC: Planning & Development Department, Town of Matthews. Tropp, Debra. 2015. Why Local Food Matters: Views from the National Landscape. Washington, DC: USDA–Agricultural Marketing Service. U.S. Department of Agriculture, Agricultural Marketing Service. Food Value Chains. 2014. Washington, DC: USDA–AMS. U.S. Department of Agriculture, Economic Research Service. 2017, Jan. Food Access Research Atlas. Washington, DC: USDA–ERS. U.S. Economic Development Administration. 2016. Content Guidelines: Economic Resilience. Washington, DC: U.S. Department of Commerce. University of North Carolina School of Government. 2017. Search Page. Chapel Hill, NC: UNC. Wake County Board of Commissioners. 2002. Agricultural District Program Ordinance. Raleigh, NC: Wake County Government. Walker, Jennifer. 2014. Planning for a Networked Produce Storage and Aggregation System for the Piedmont Triad Region. Durham, NC: Poiesis Planning. Winig, Ben, and Heather Wooten. 2015. Dig, Eat, and Be Healthy: A Guide to Growing Food on Public Property. Oakland, CA: Change Lab Solutions. CEFS is one of the nation's most important centers for research, extension, and education in sustainable agriculture and community-based food systems. It is recognized as a national and international leader in the local foods movement, and celebrated for its work in building consensus around policies, programs, and actions that facilitate a vibrant local food economy. Portions of this publication were published in the 2013 Center for Environmental Farming Systems publication, A Community & Local Government Guide to Developing Local Food Systems (AG-744). Content has been updated to reflect current legislation, and additional content has been added. Edmonds, Emily, and Rebecca Dunning. 2017. Building Local Food Economies: A Guide for Governments. LF-001. Raleigh, NC: North Carolina Cooperative Extension. This project was supported by a USDA–NIFA Agriculture and Food Research Initiative (AFRI) grant for the NC Growing Together Project (NCGT), which aims to bring more locally produced foods into mainstream markets across North Carolina. NCGT works to develop and expand supportive business environments for food and farm enterprises. More information about NC Growing Together. This material is based upon work that is supported by the National Institute of Food and Agriculture (NIFA), U.S. Department of Agriculture, under award no. 2013-68004-20363. Any opinions, findings, recommendations, or conclusions expressed in this publication are those of the authors and do not necessarily reflect the view of the U.S. Department of Agriculture.